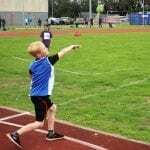 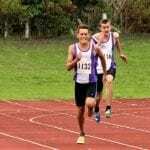 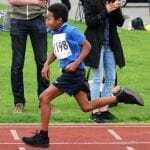 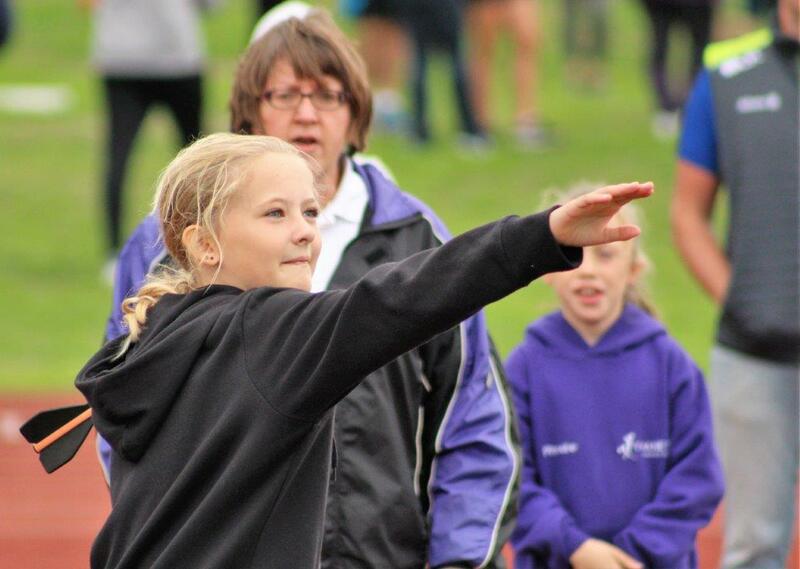 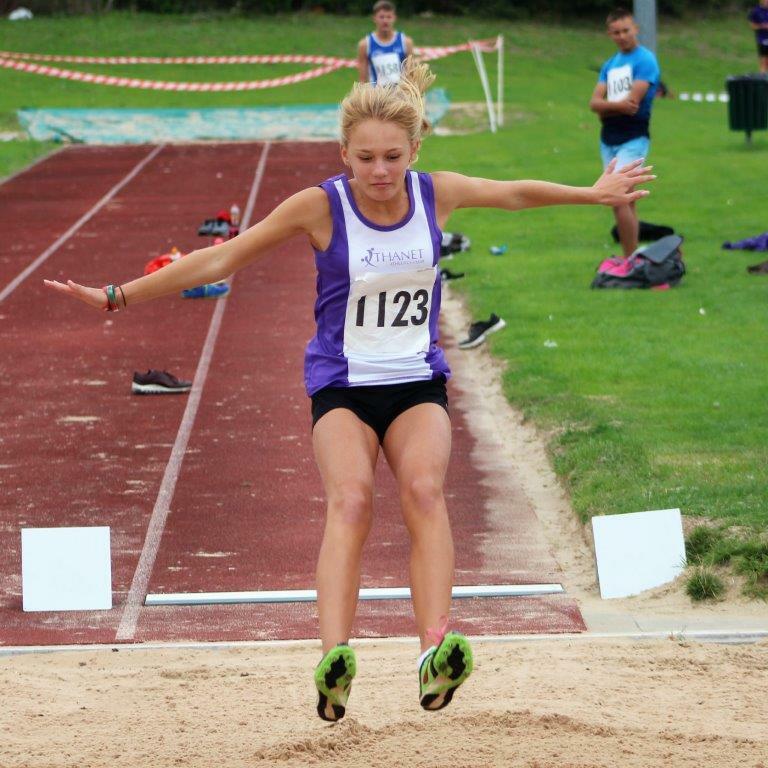 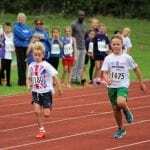 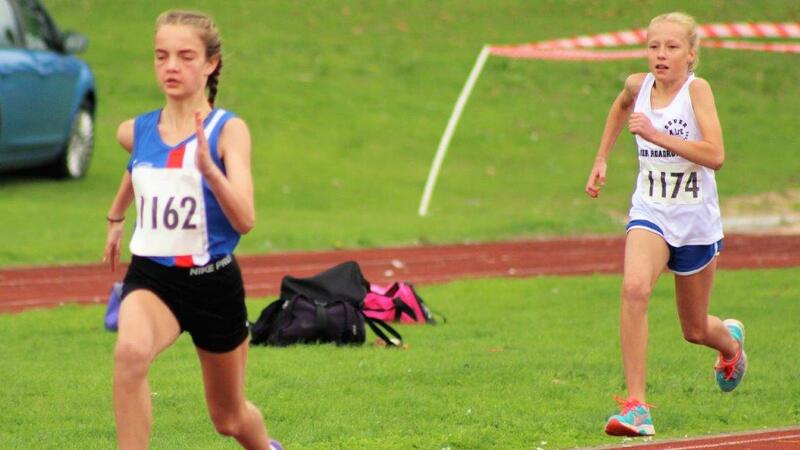 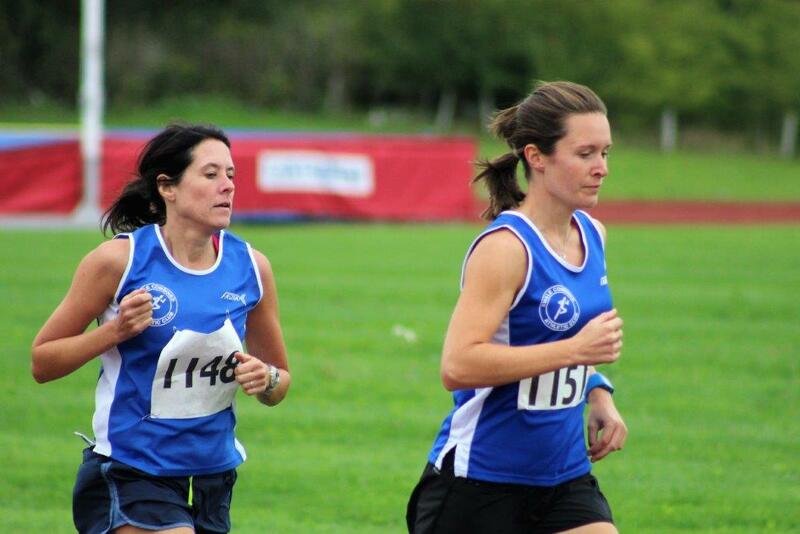 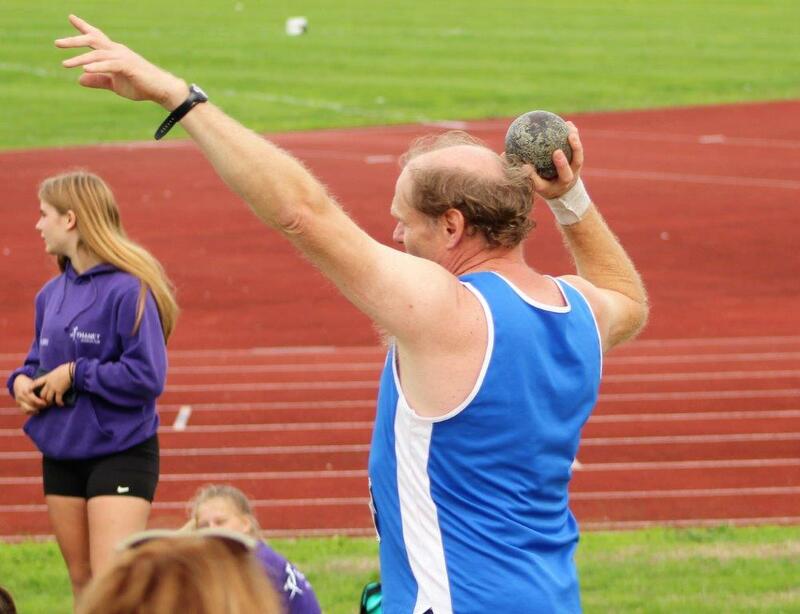 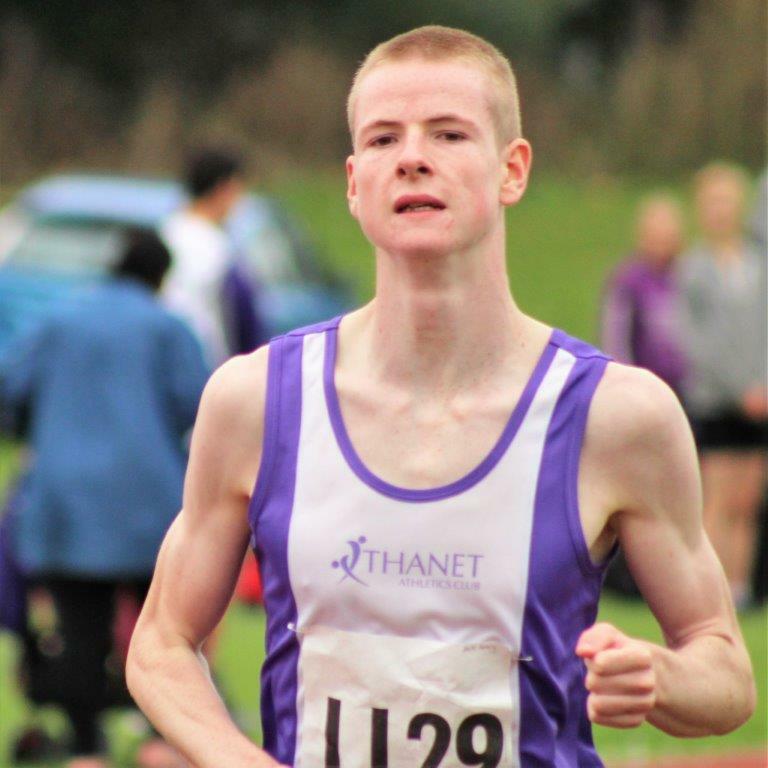 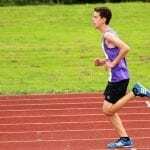 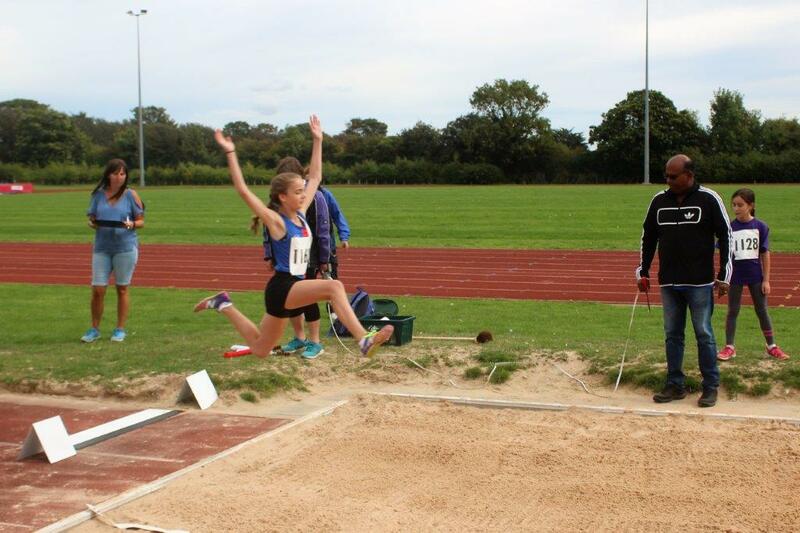 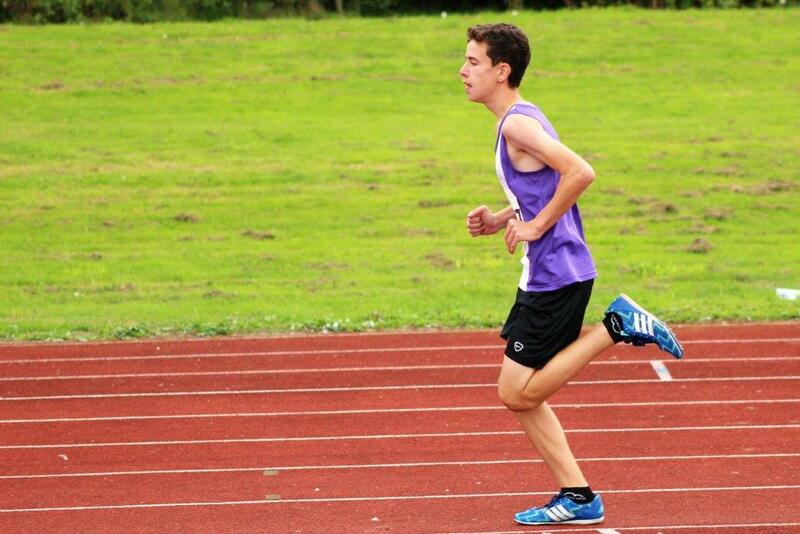 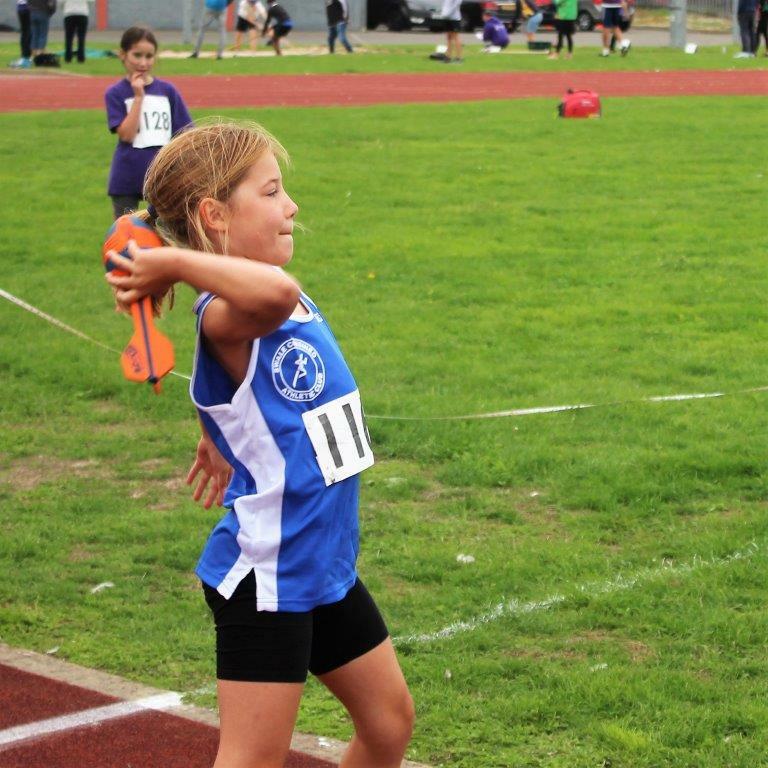 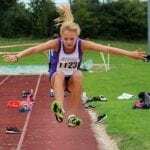 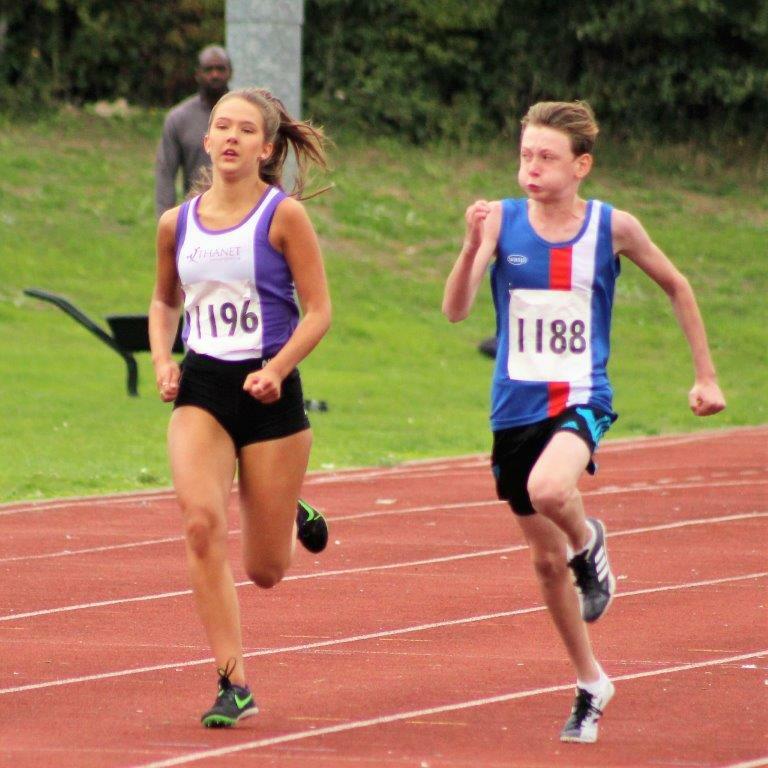 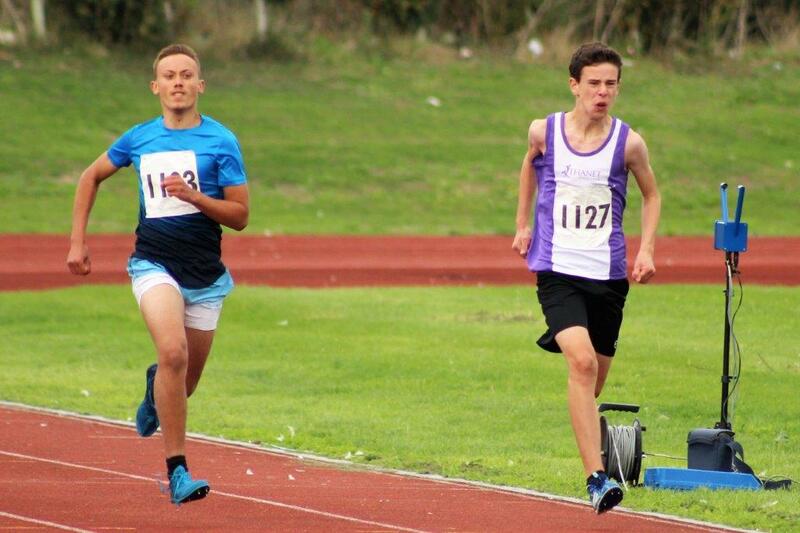 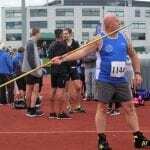 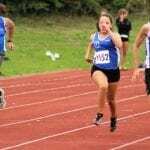 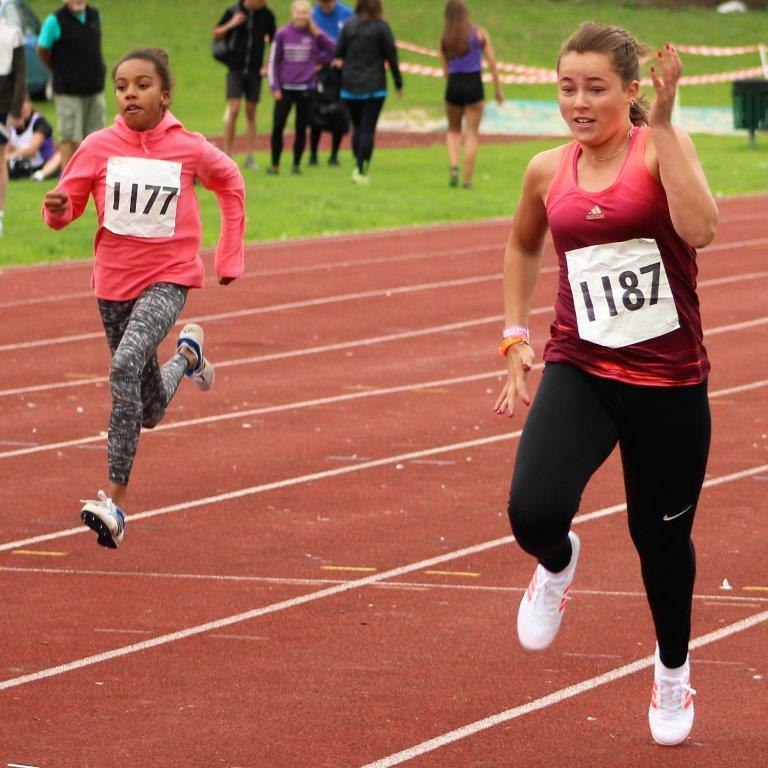 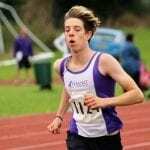 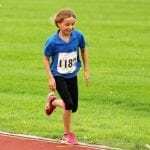 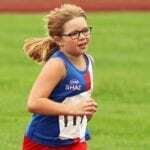 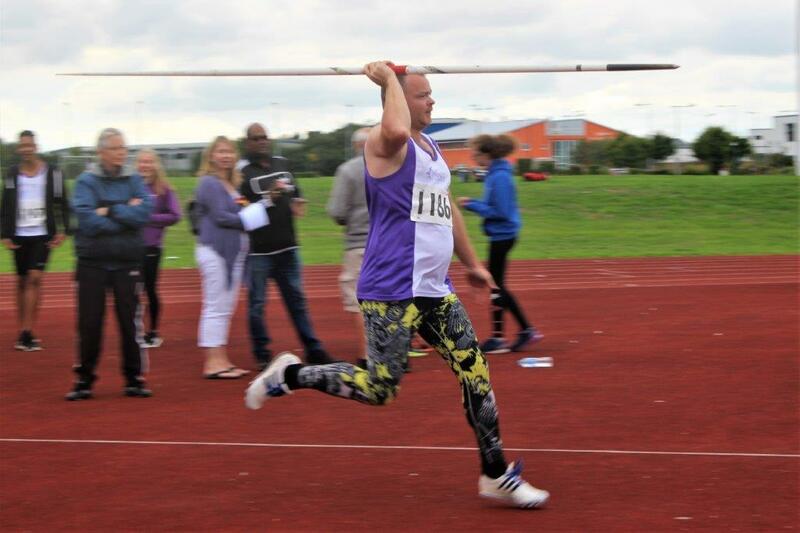 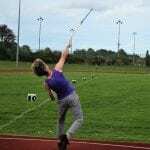 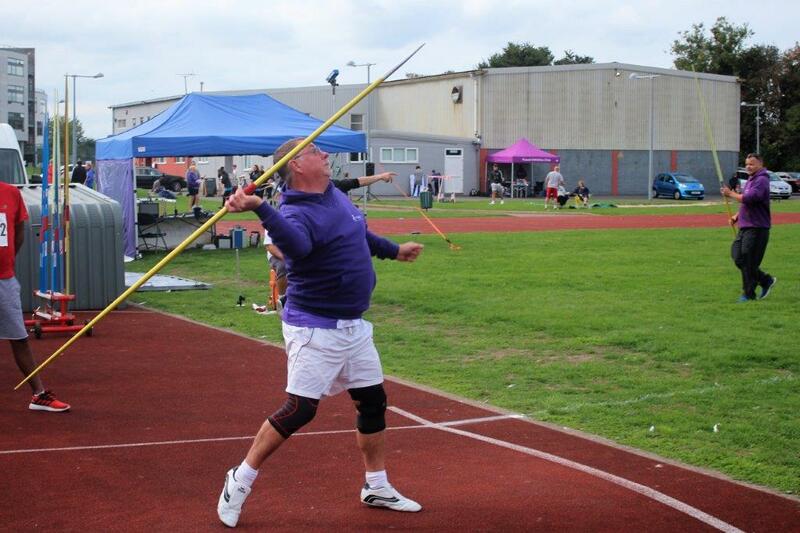 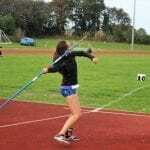 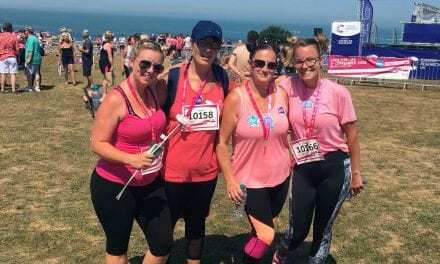 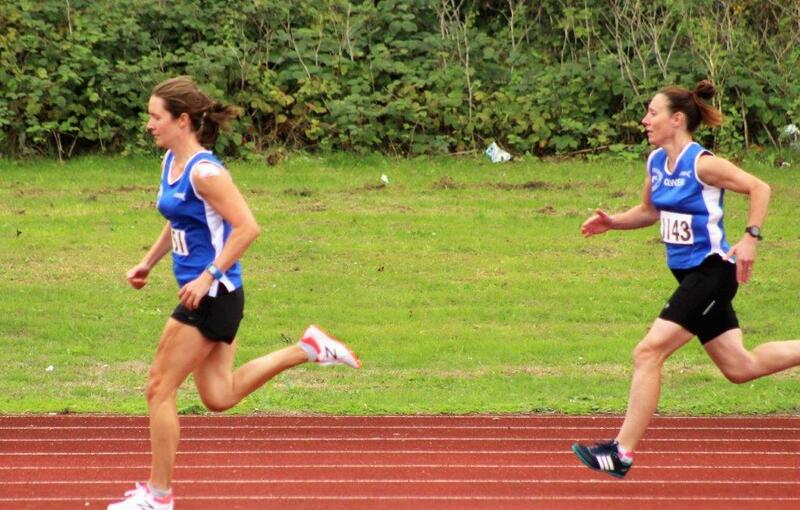 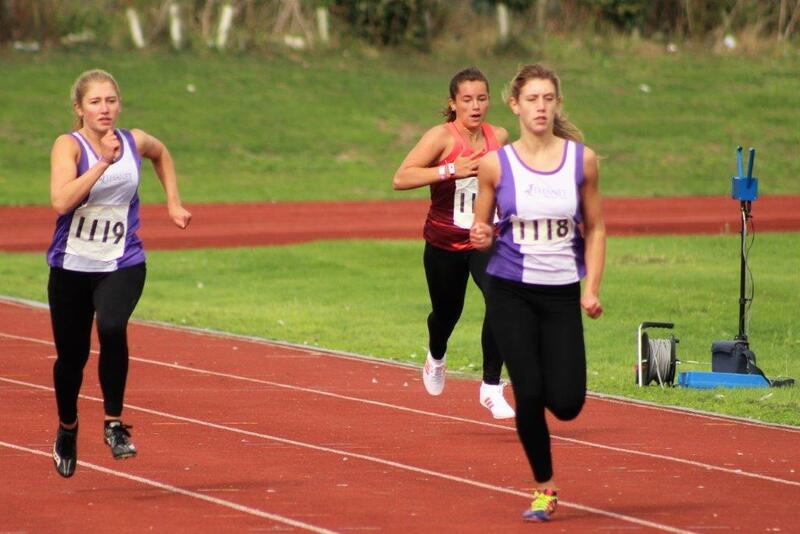 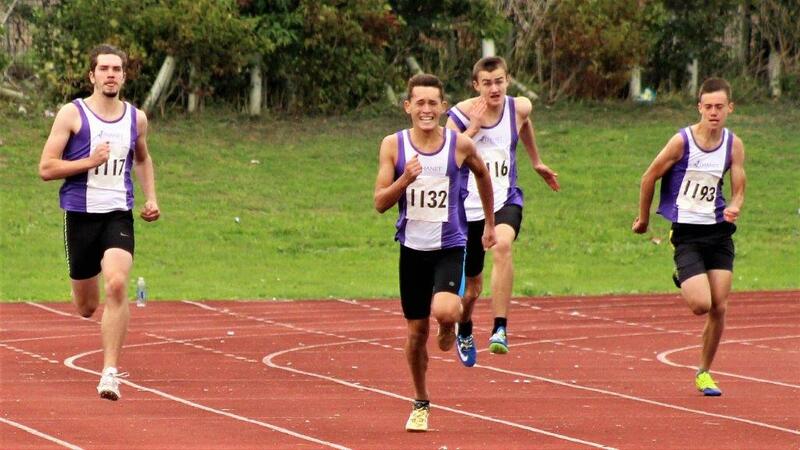 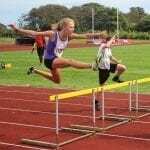 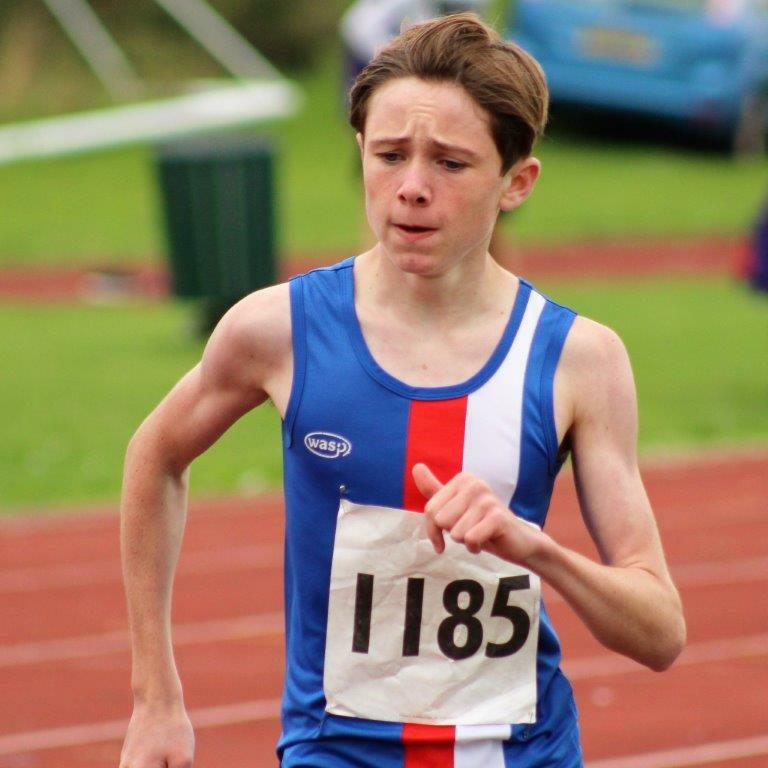 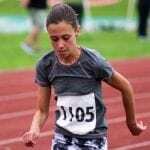 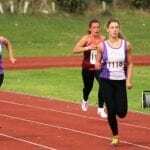 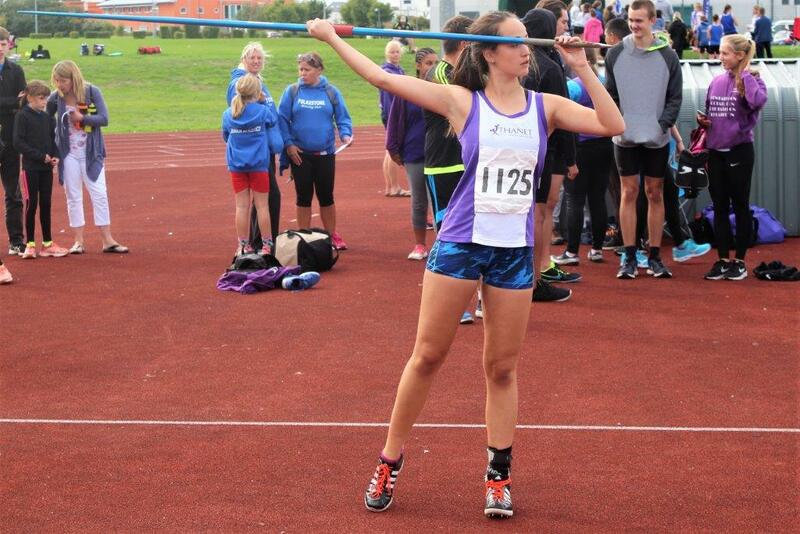 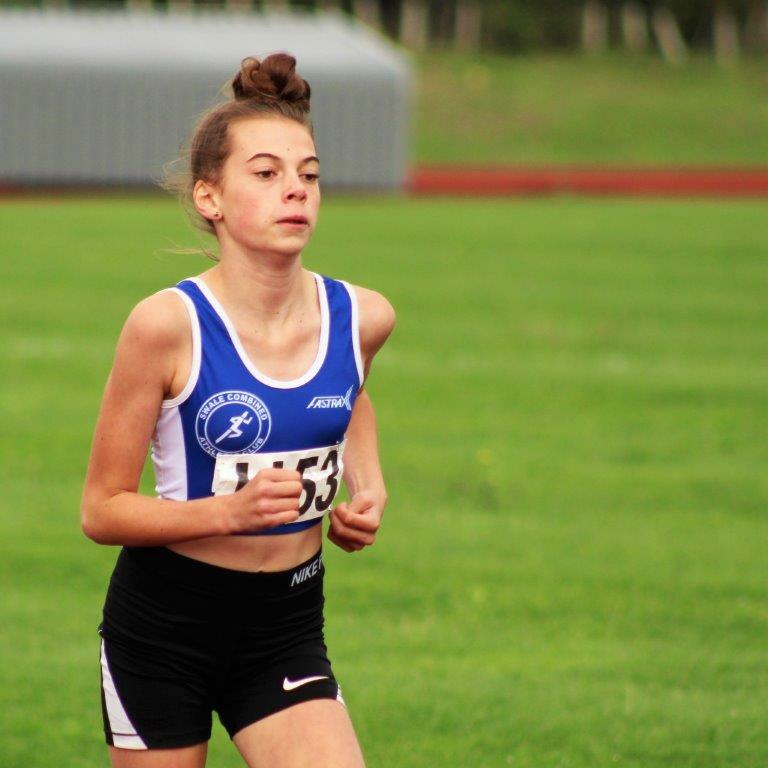 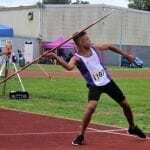 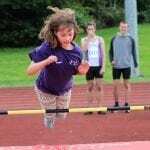 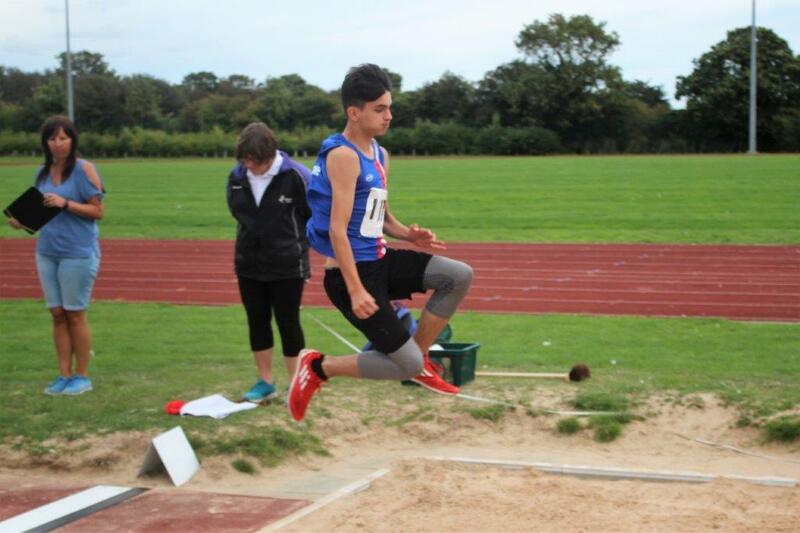 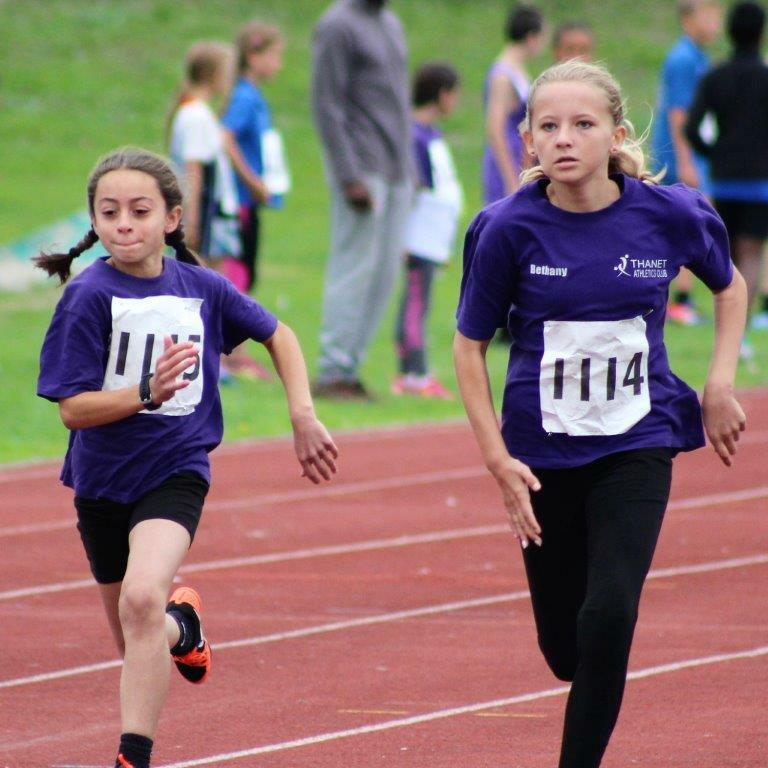 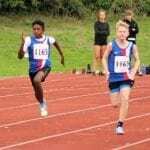 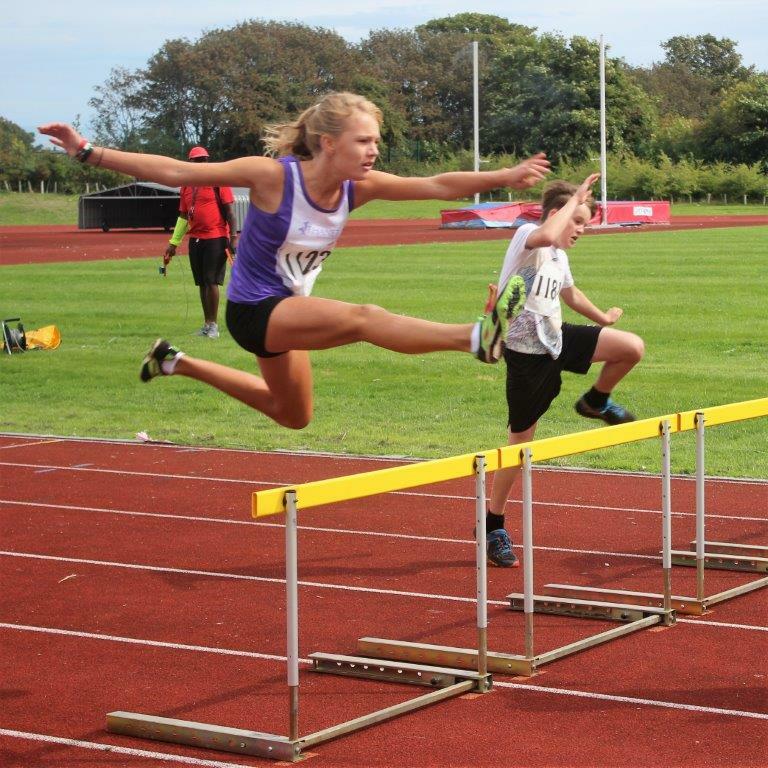 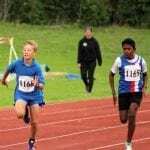 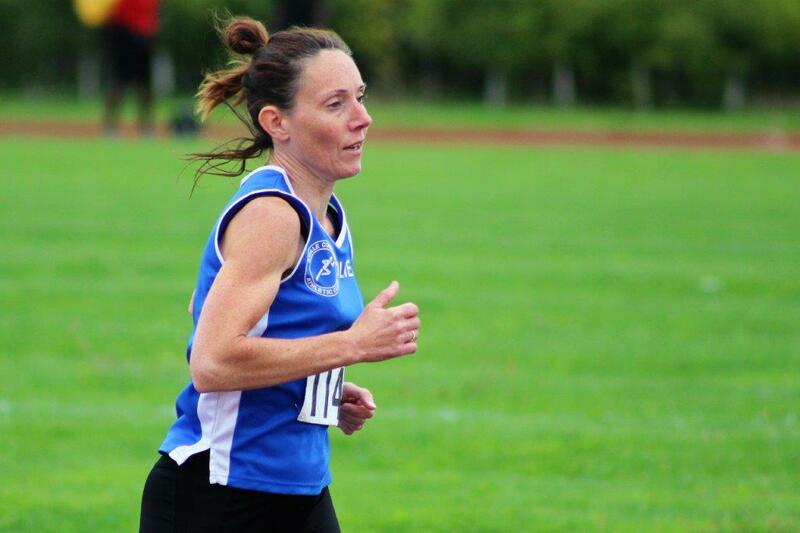 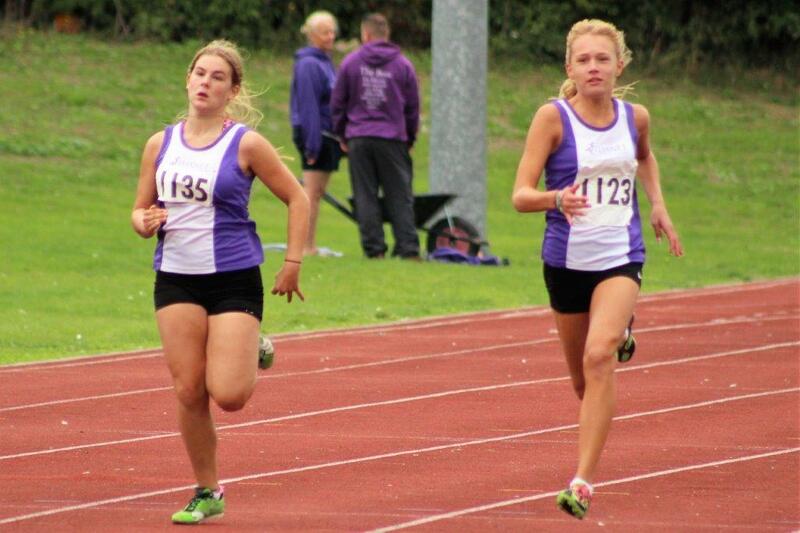 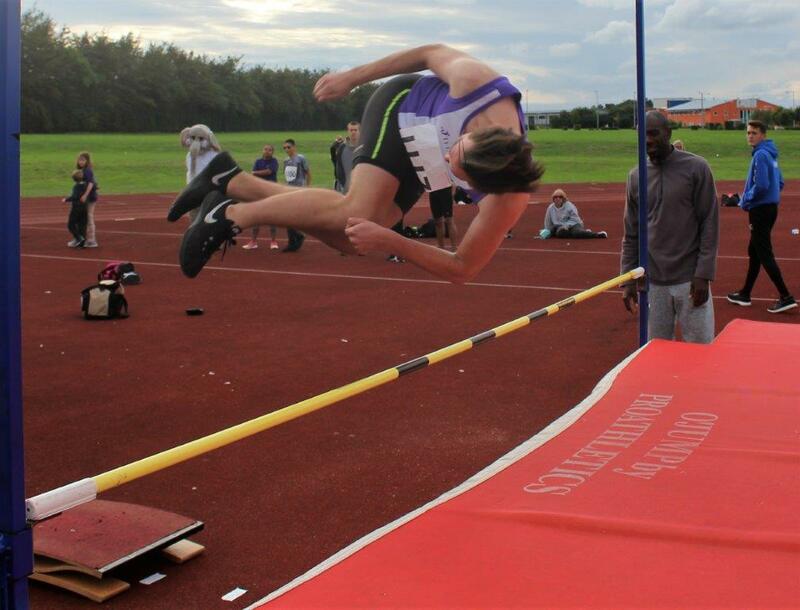 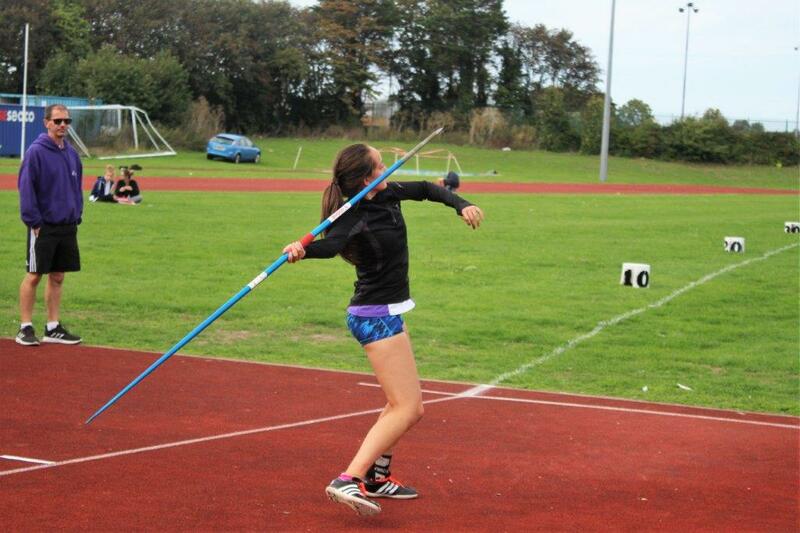 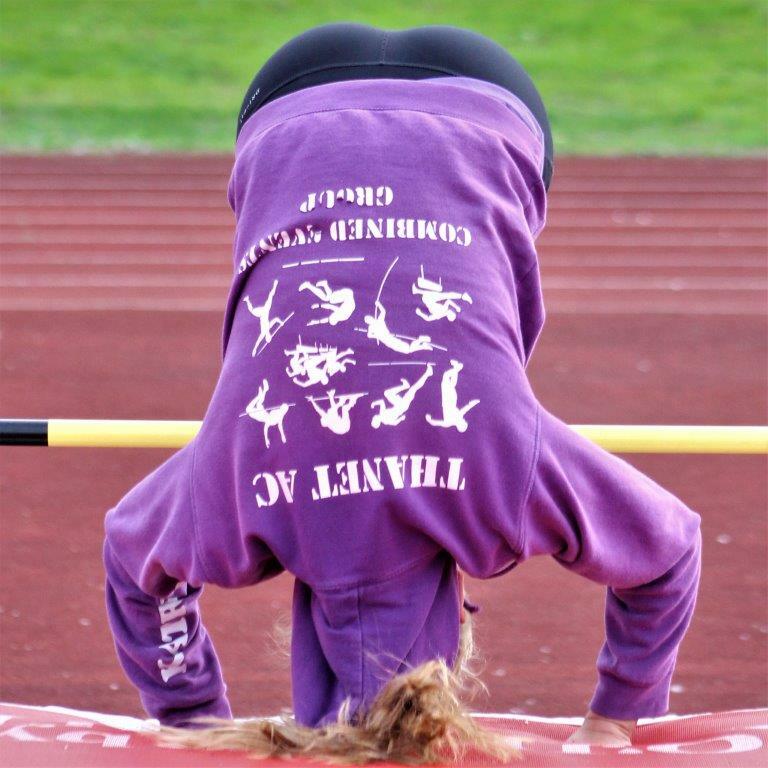 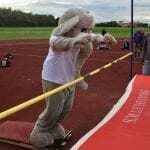 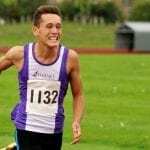 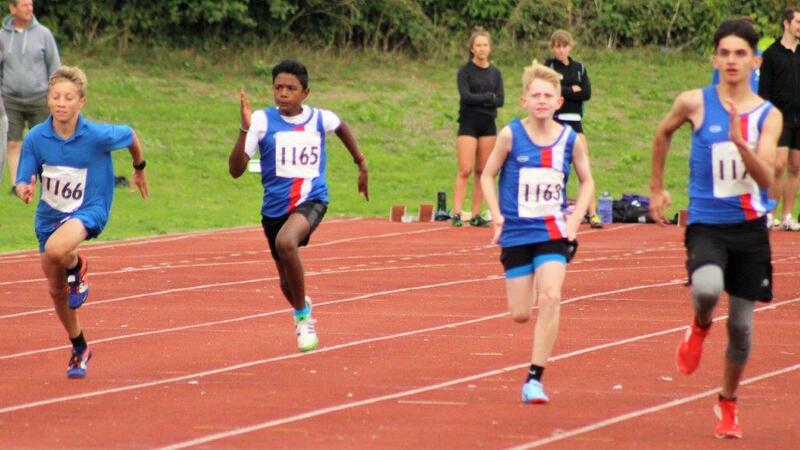 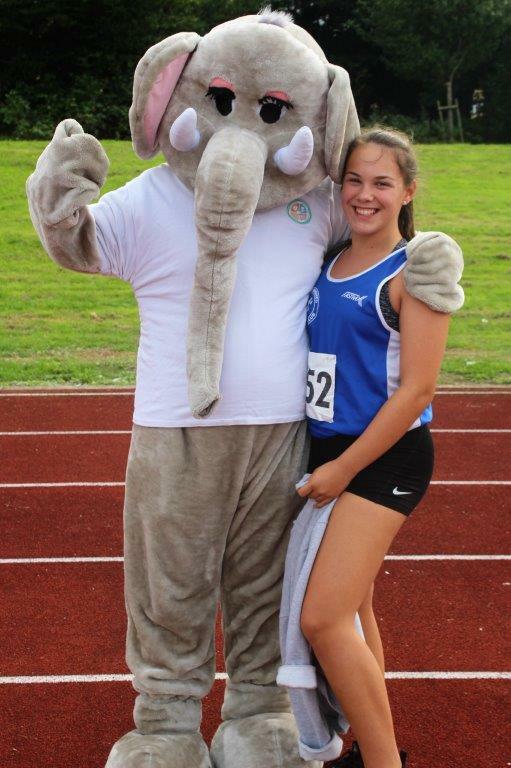 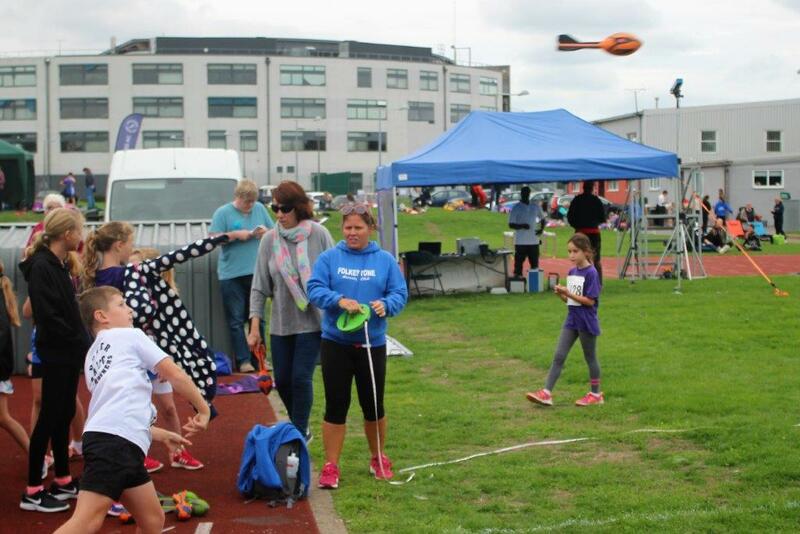 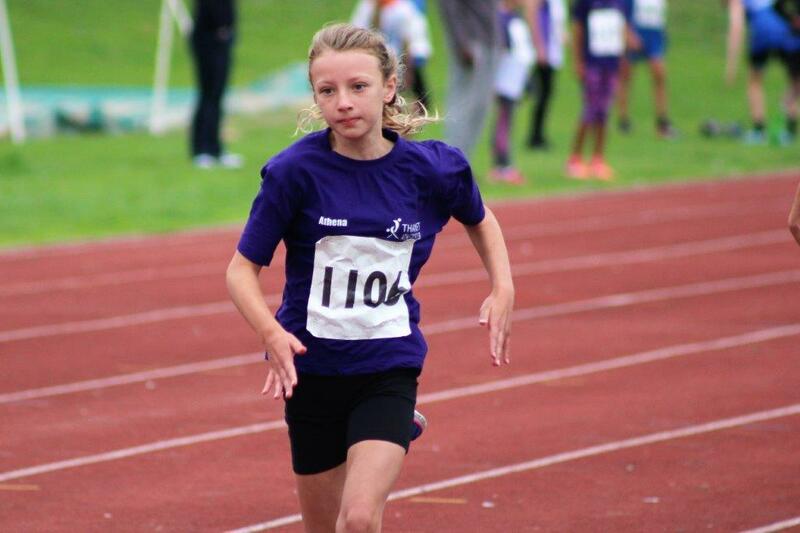 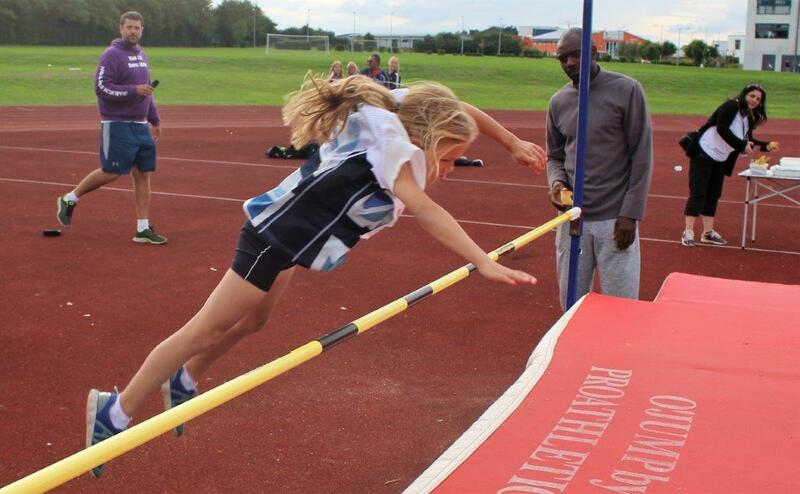 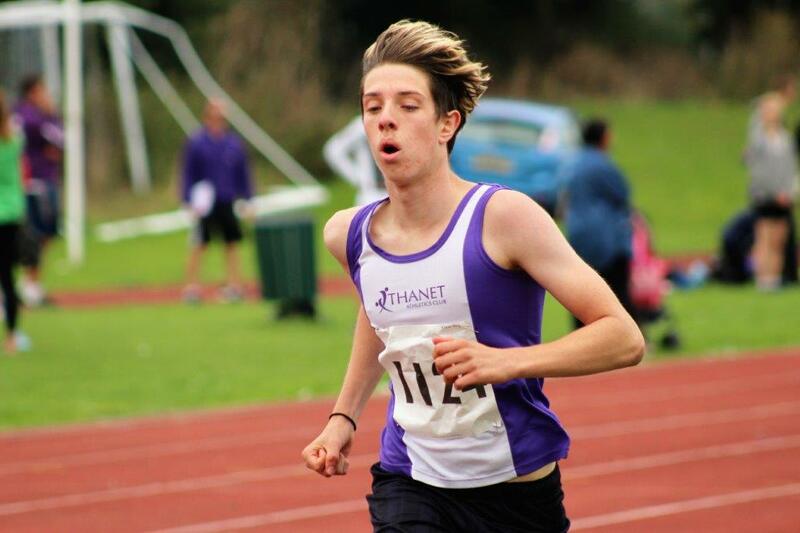 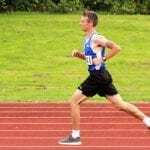 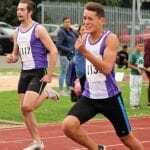 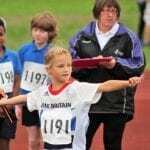 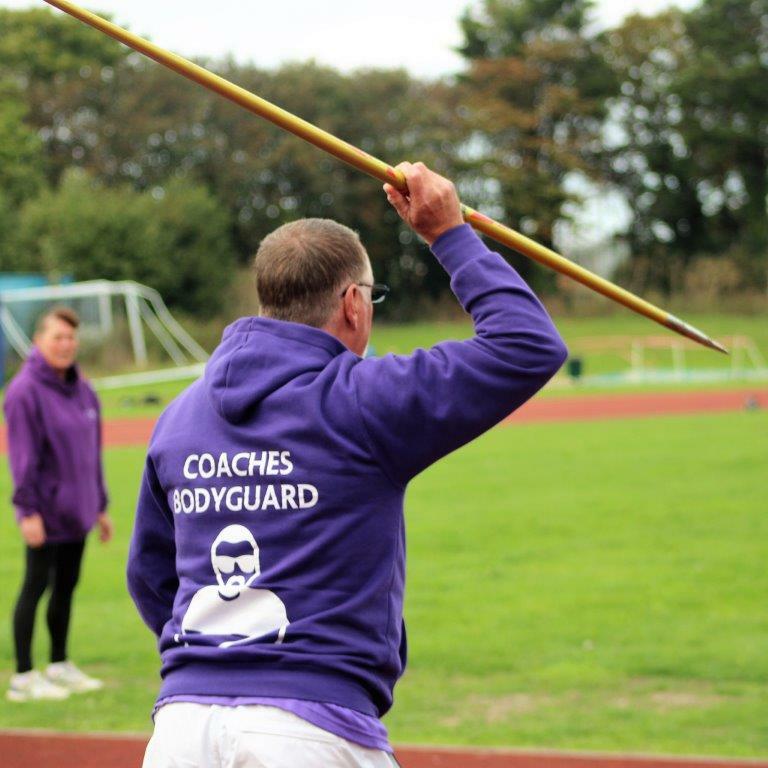 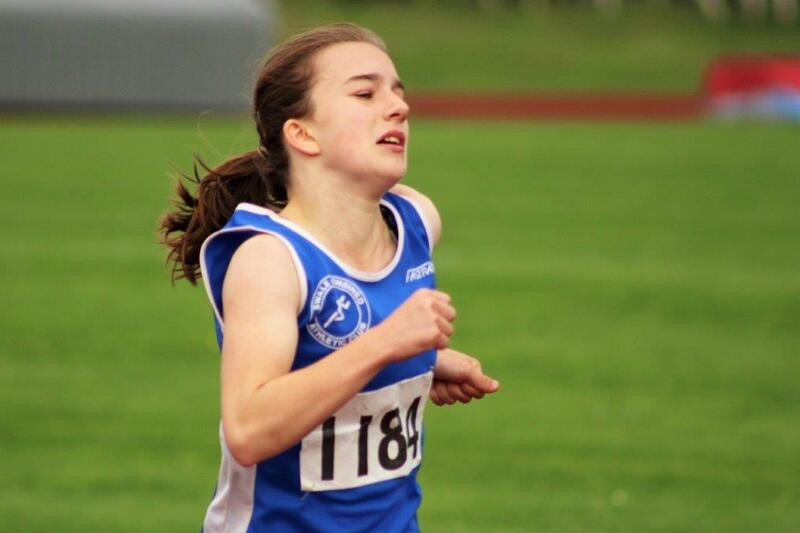 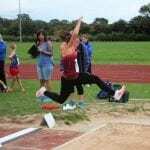 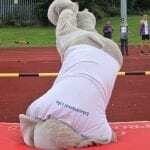 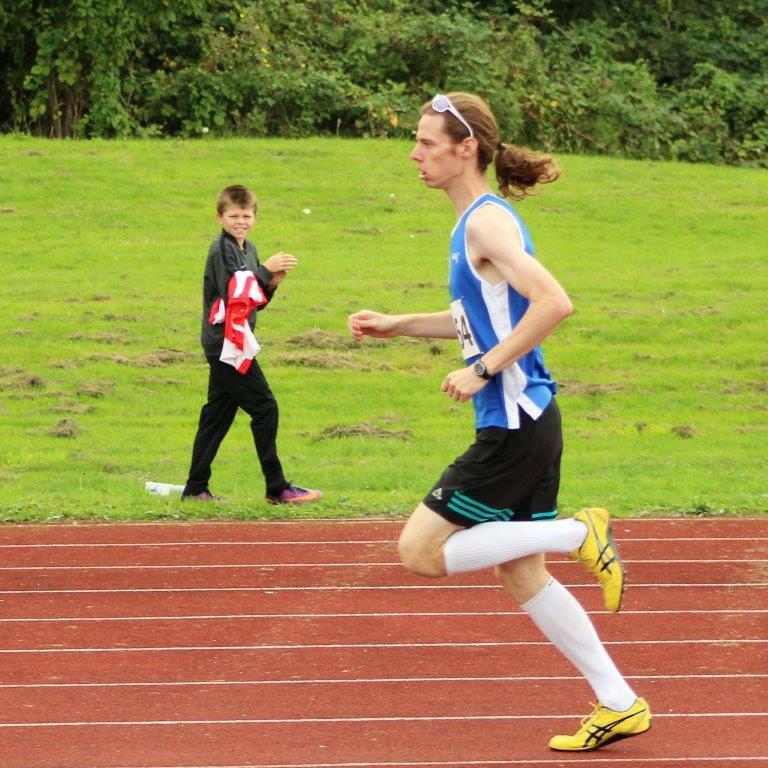 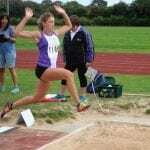 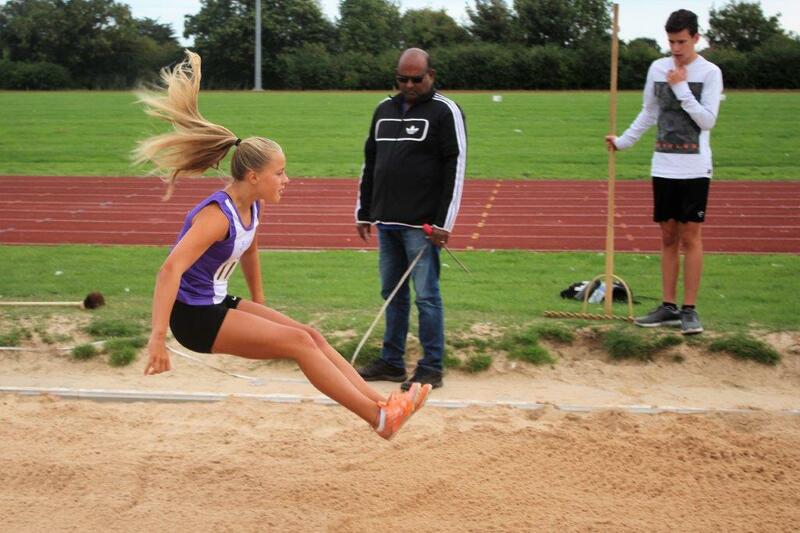 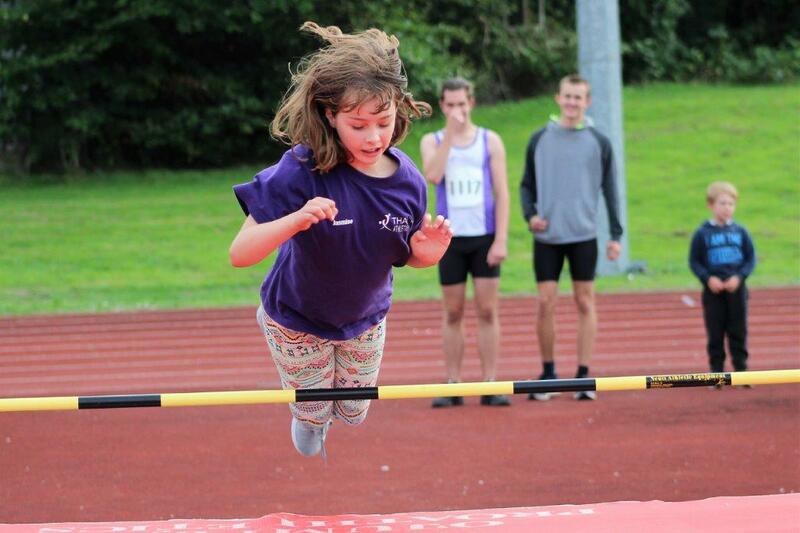 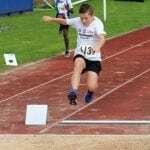 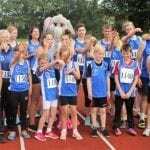 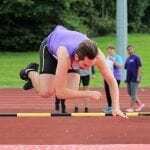 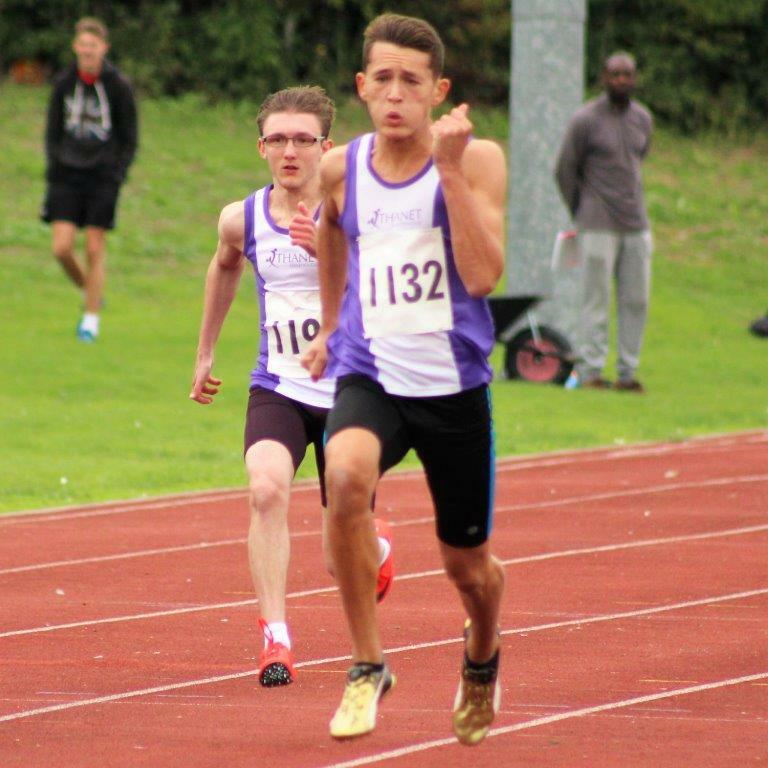 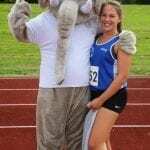 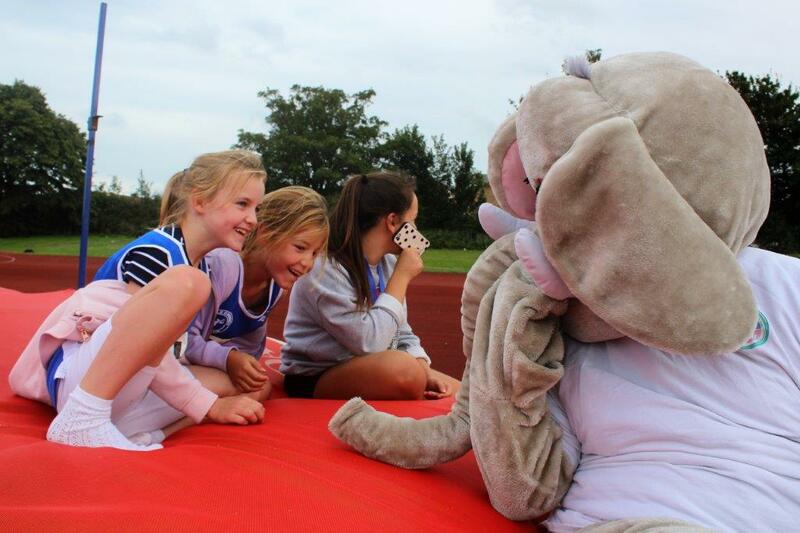 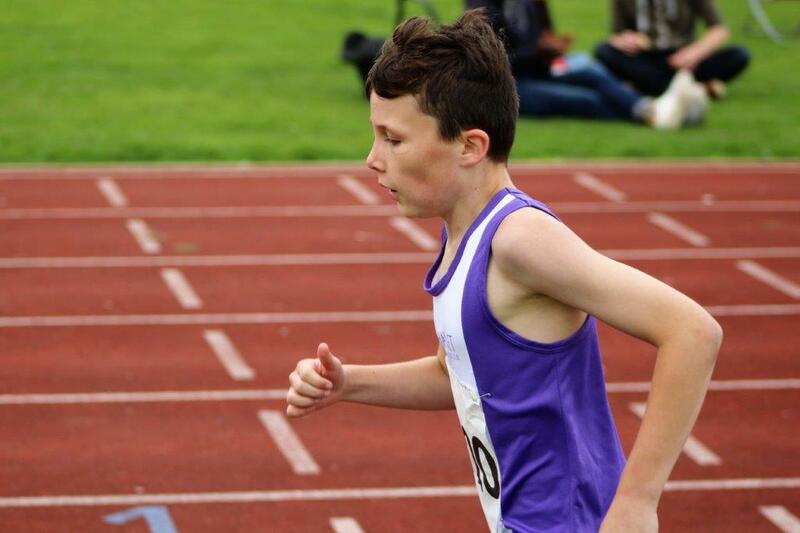 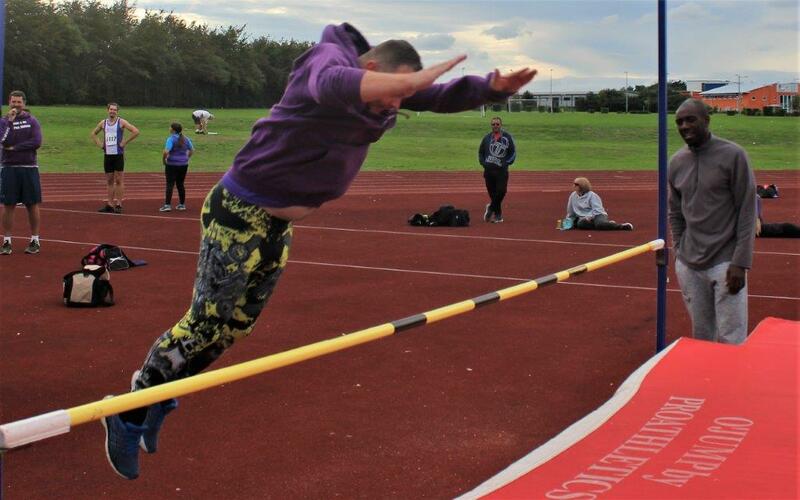 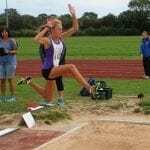 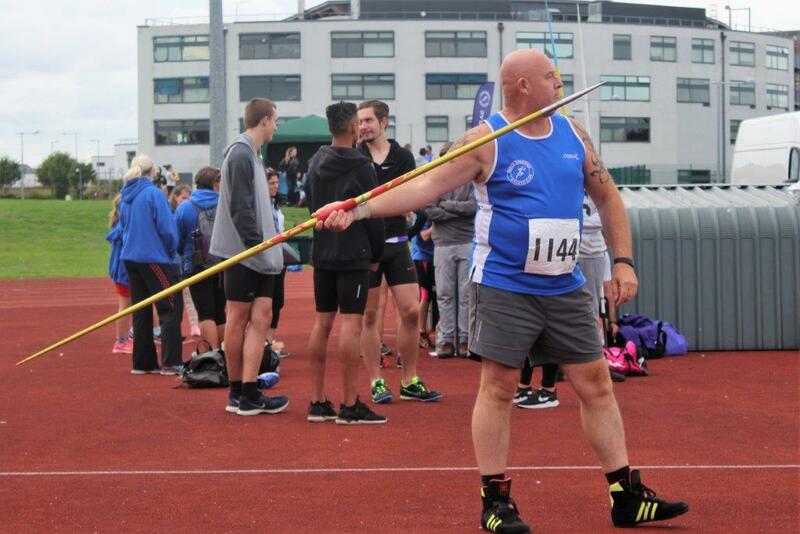 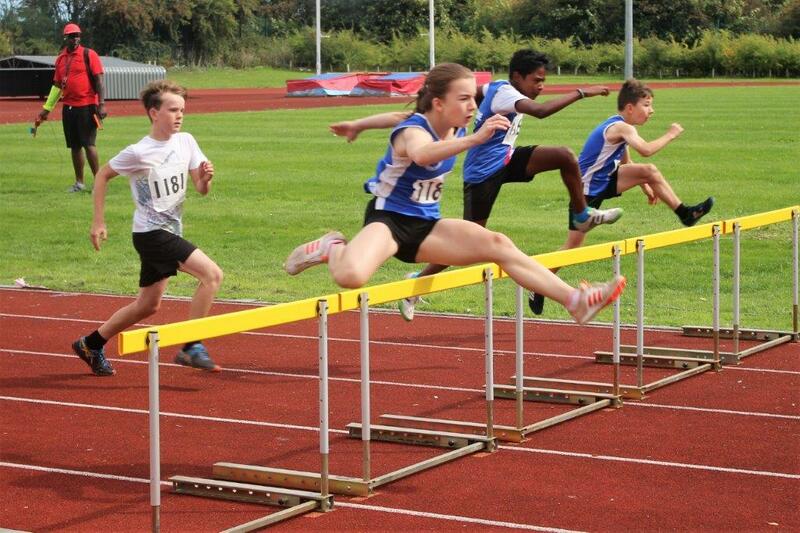 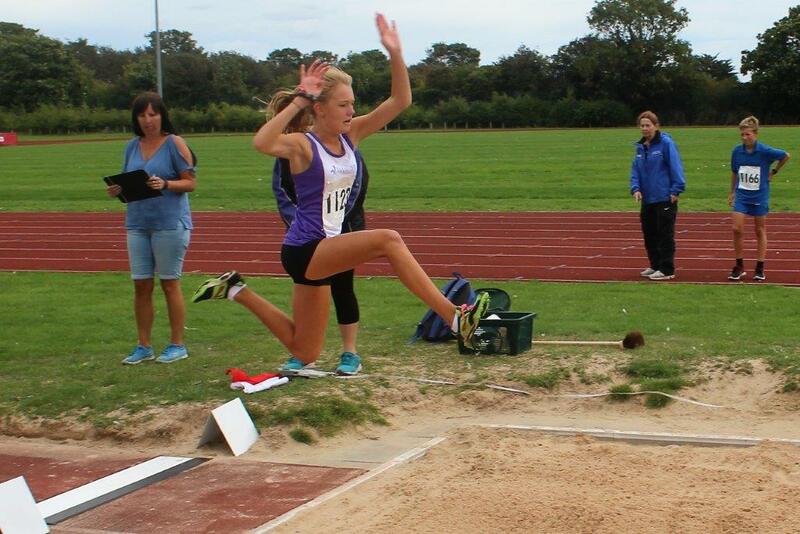 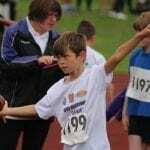 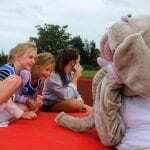 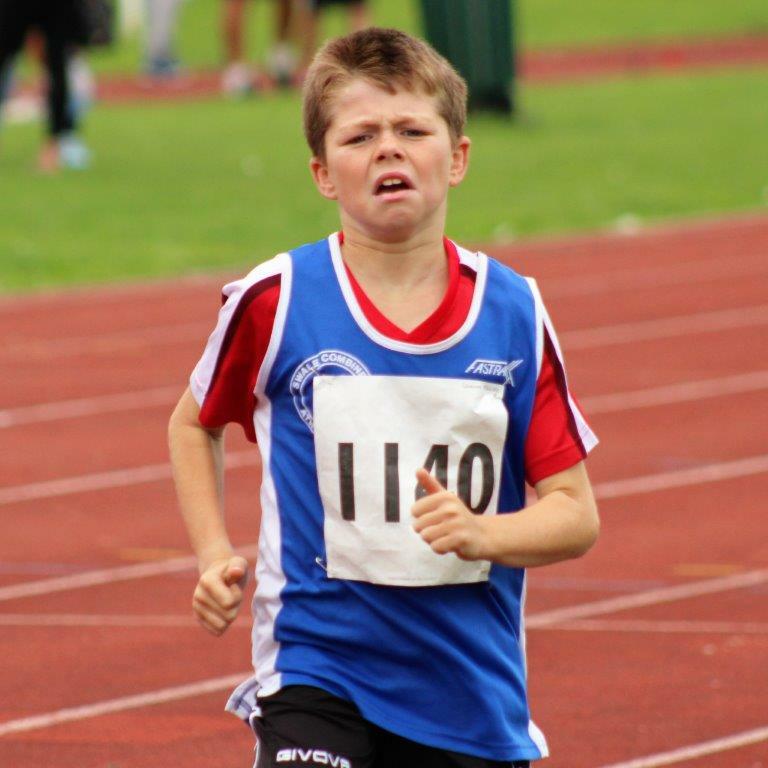 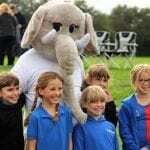 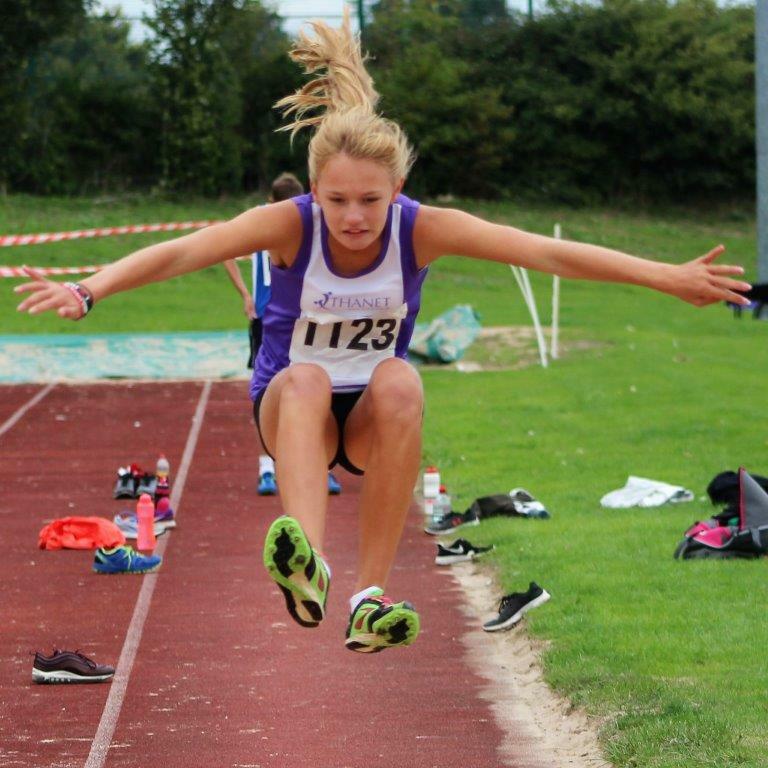 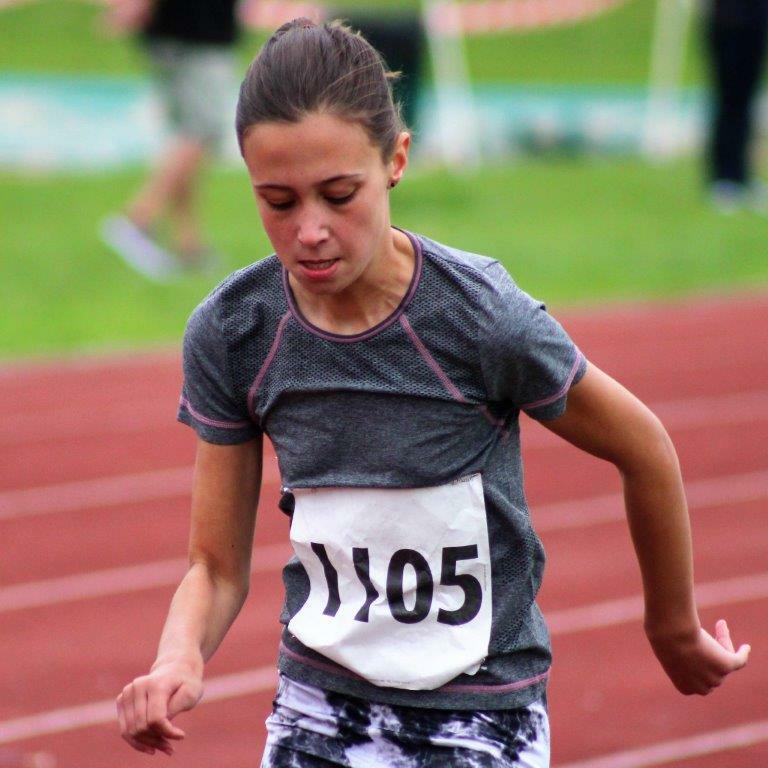 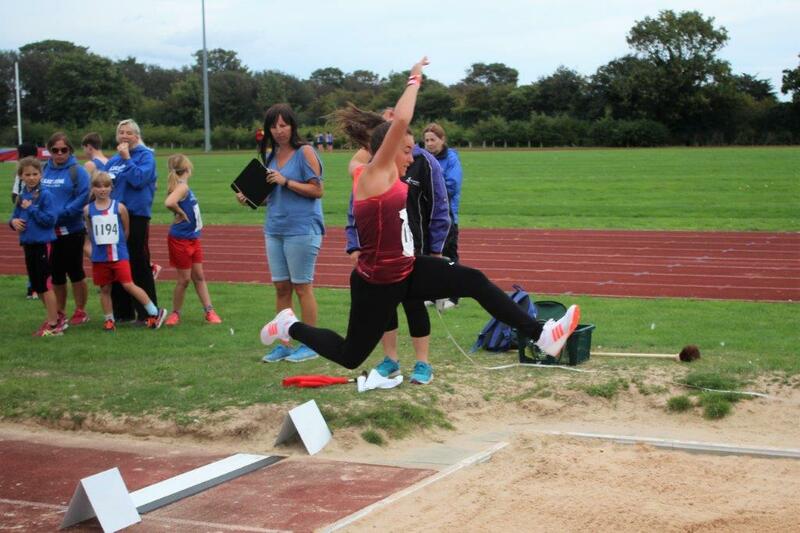 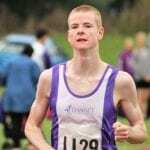 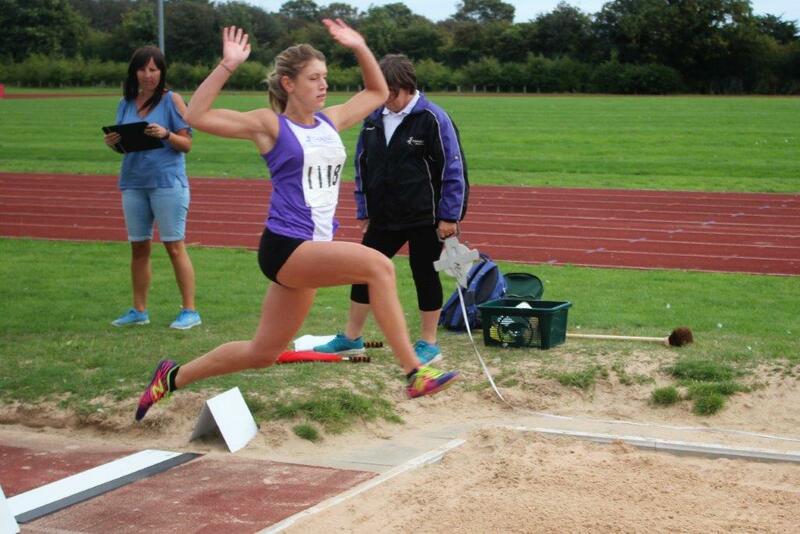 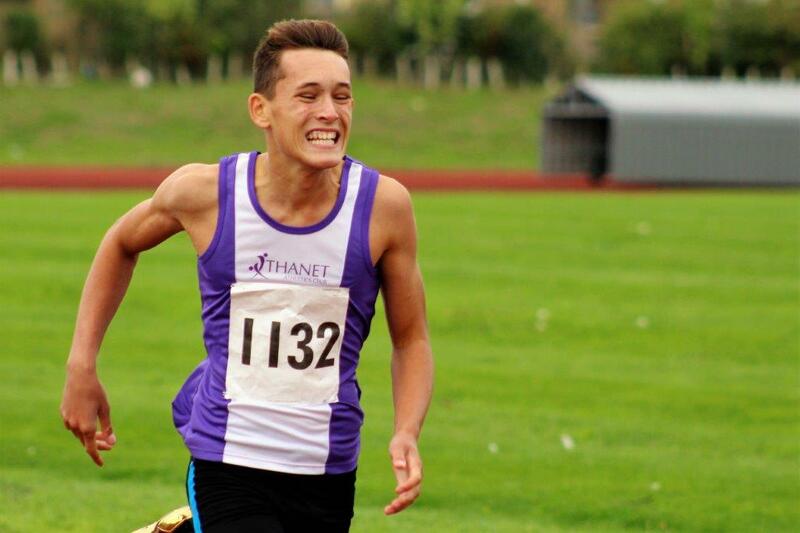 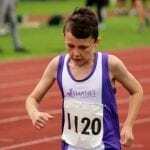 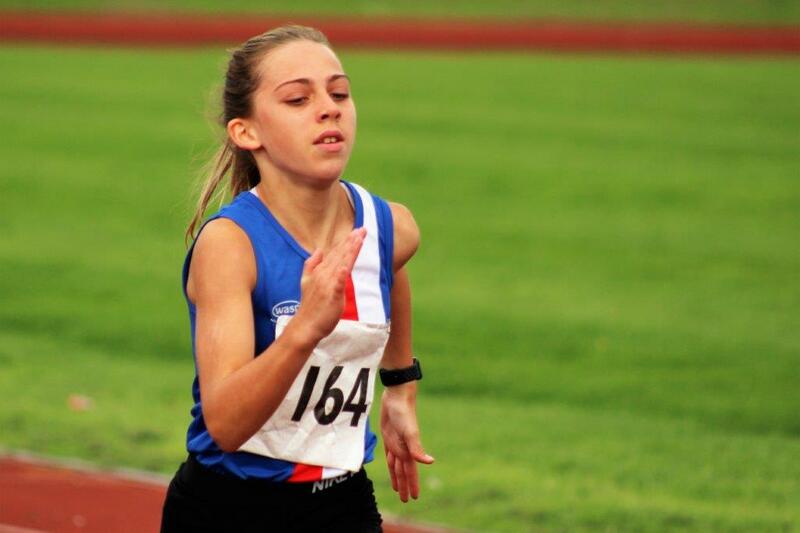 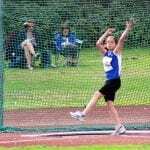 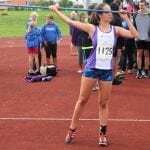 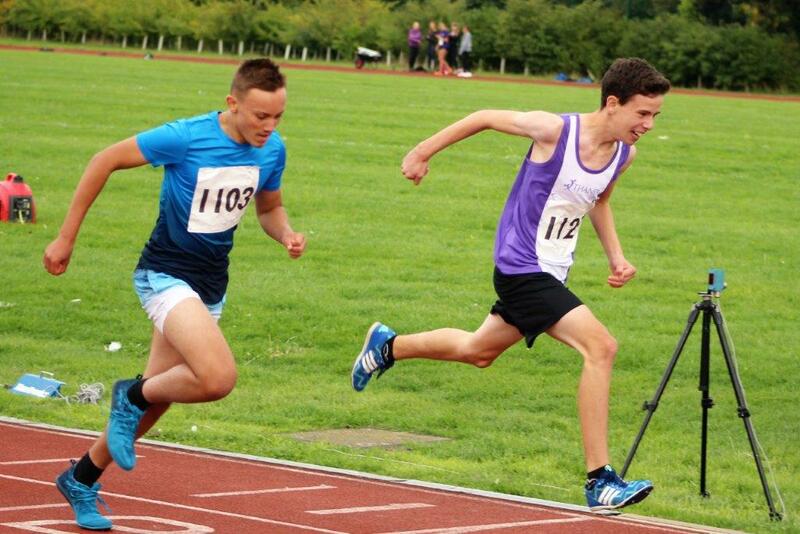 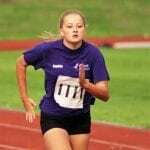 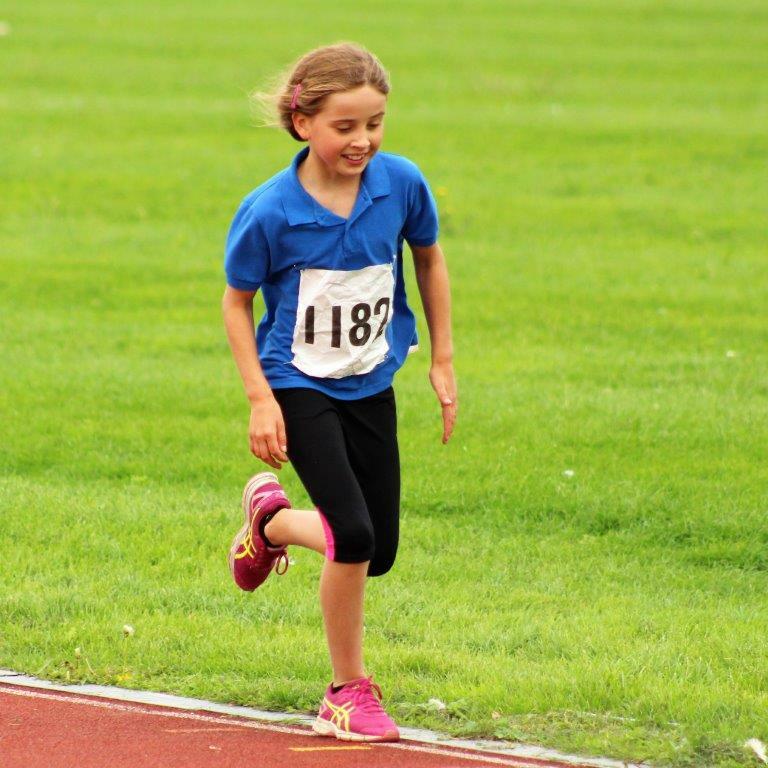 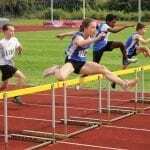 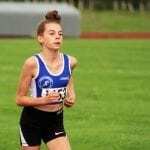 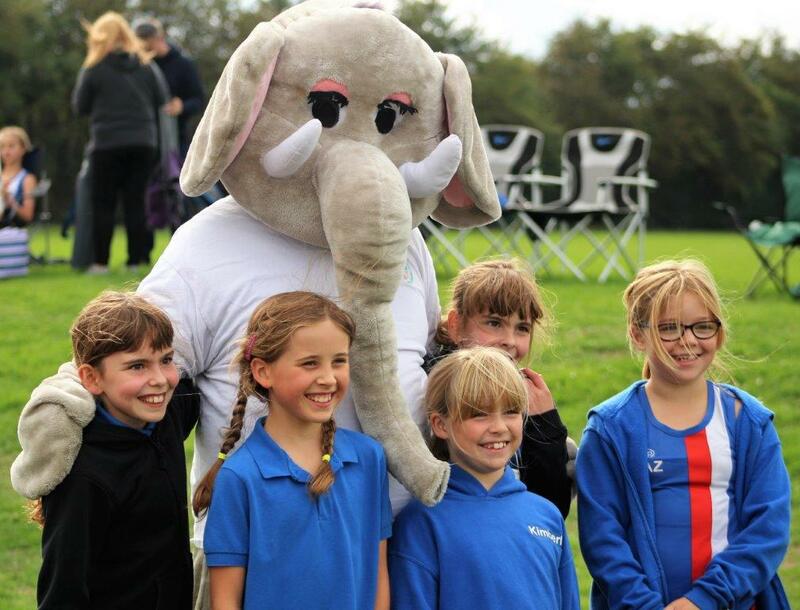 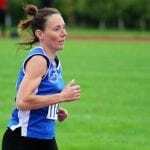 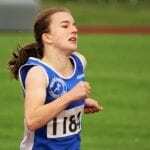 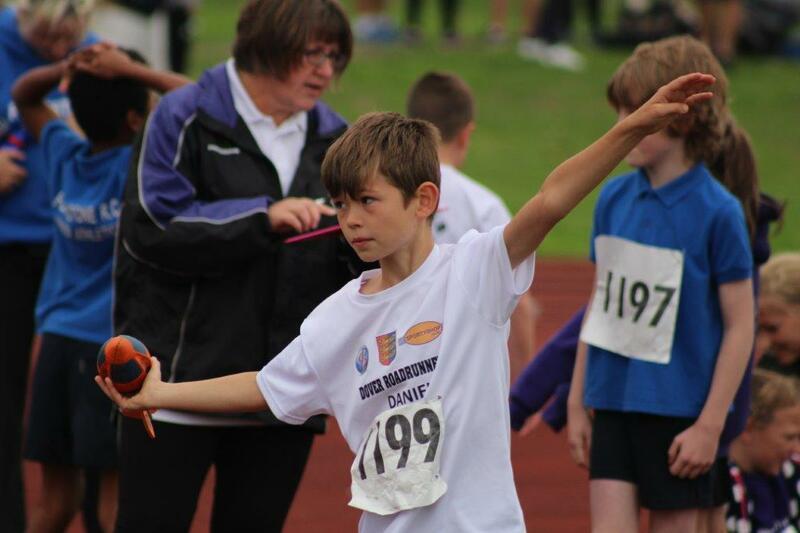 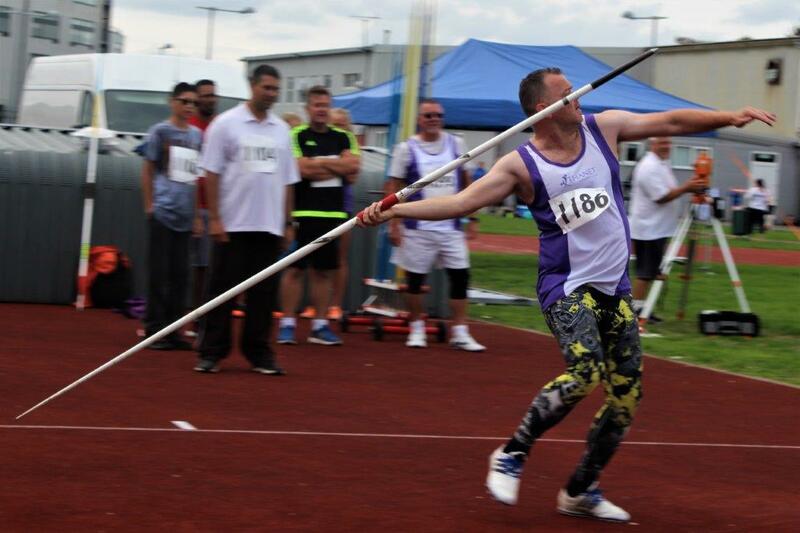 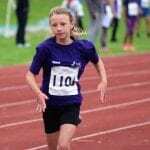 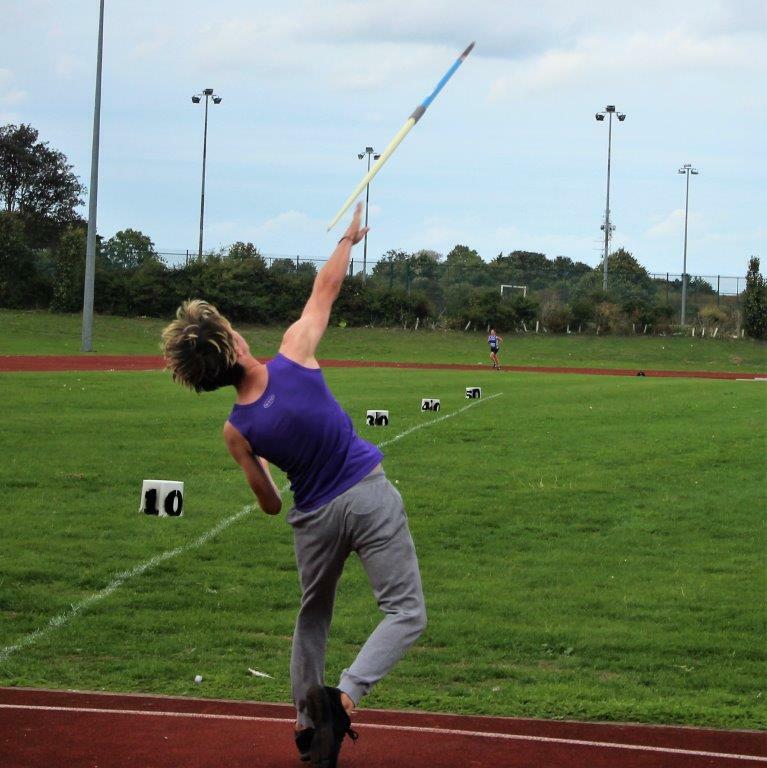 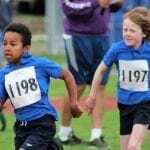 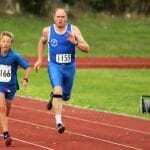 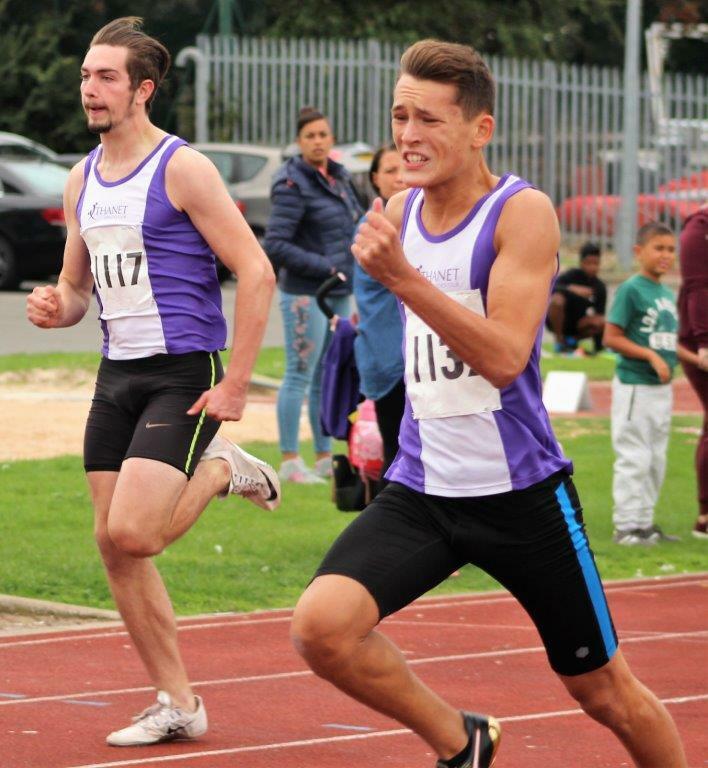 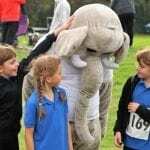 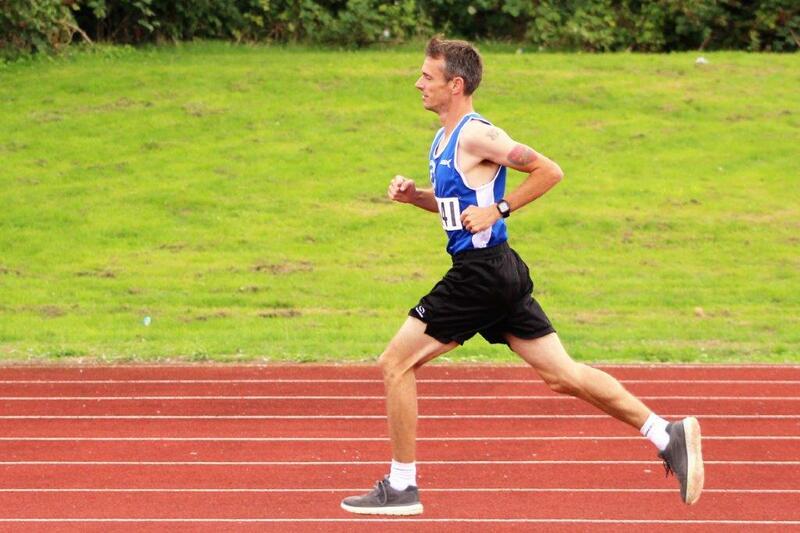 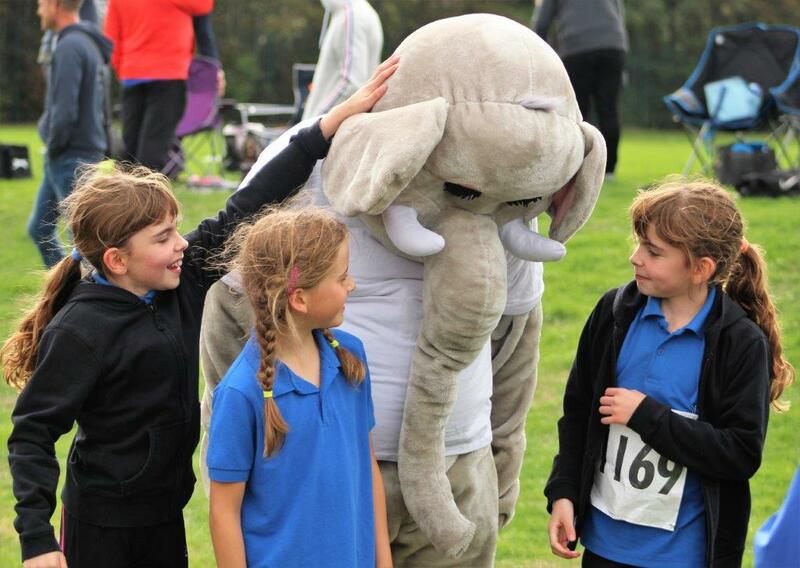 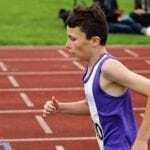 As the Athletics season comes to an end, Athletes from Thanet Athletics Club have had an exceptionally busy September. 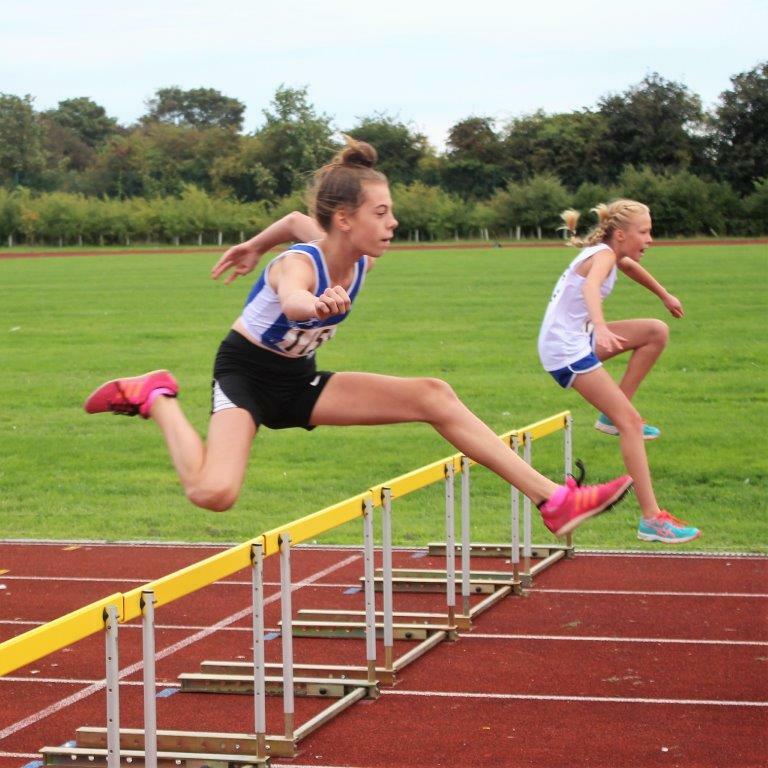 Poppy Rowland-Hill, Eve Seery and Lily-Ann Showers competed in the U13 County Pentathlon Championships in Dartford on Monday 27th August. 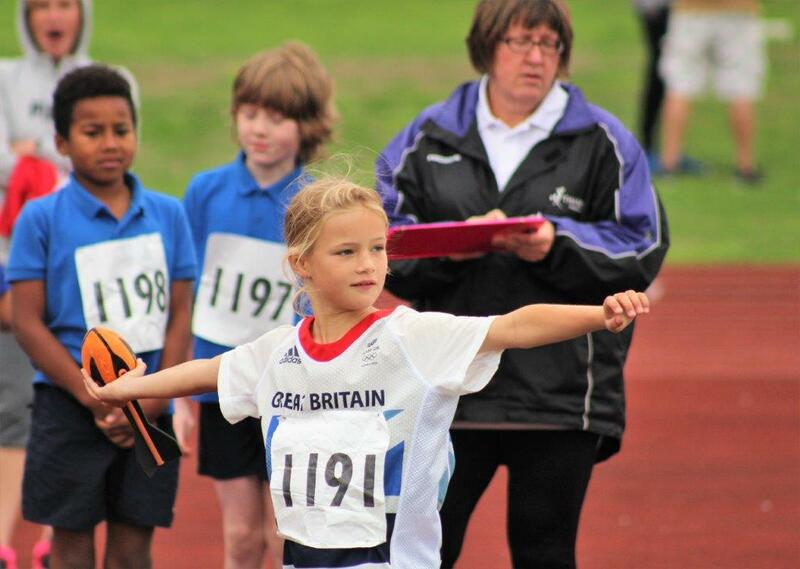 Poppy showed her class of the season so far by winning a magnificent silver medal. 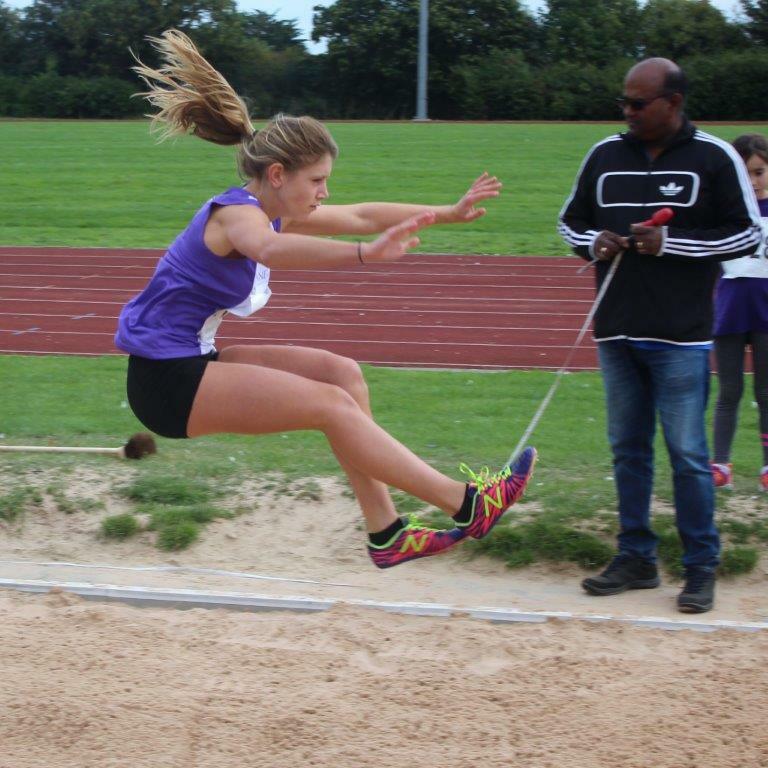 Eve put together 5 great events, including 2 personal bests, for 7th place in her first ever pentathlon and Lily-Ann produced 4 personal bests also in her first ever pentathlon for a superb 14th place. 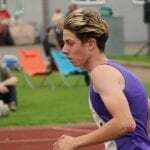 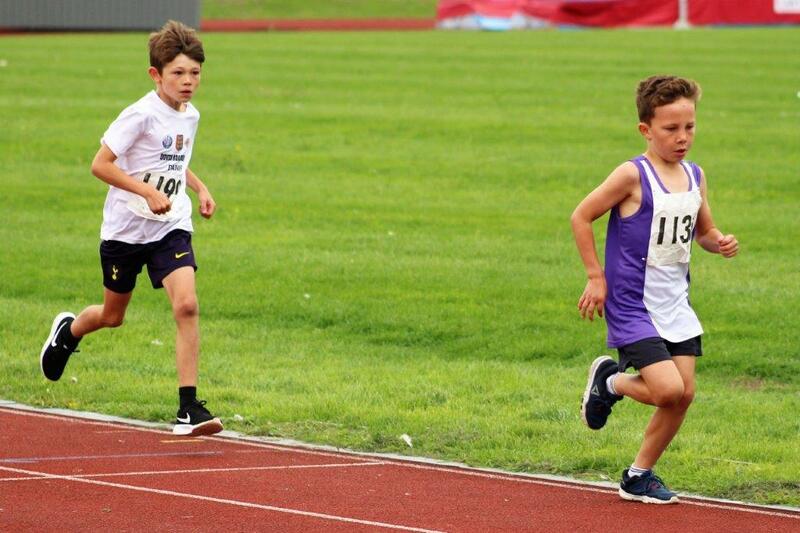 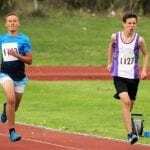 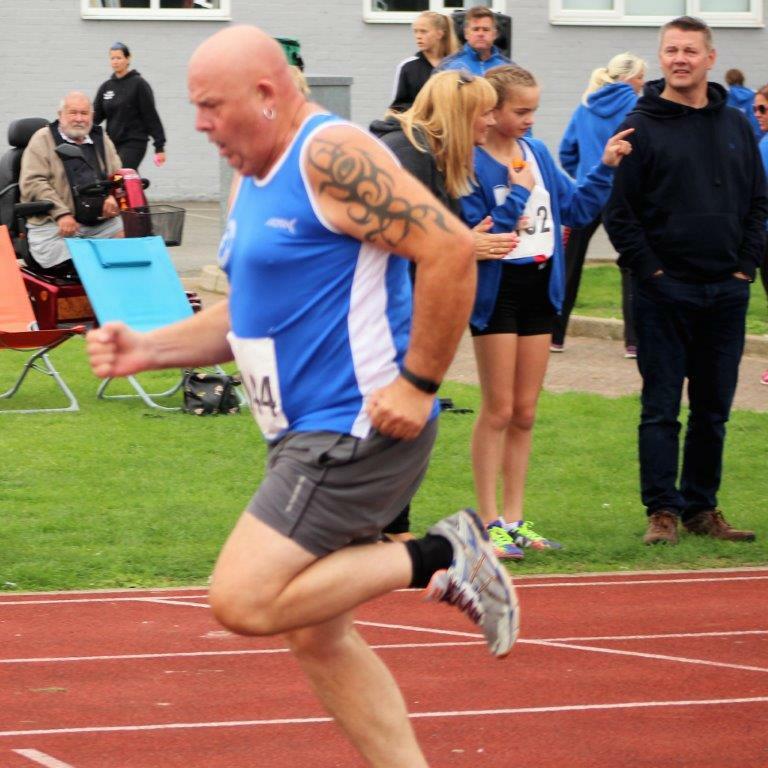 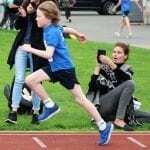 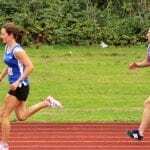 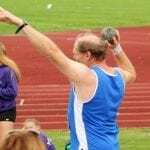 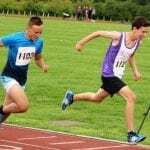 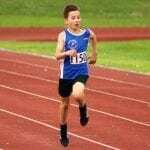 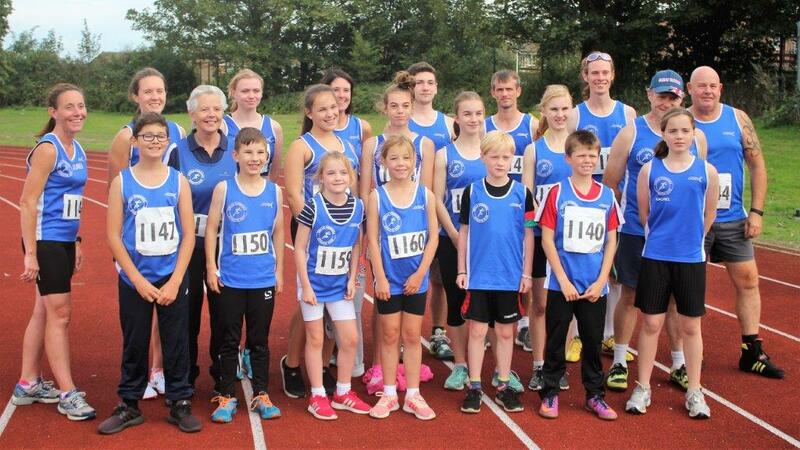 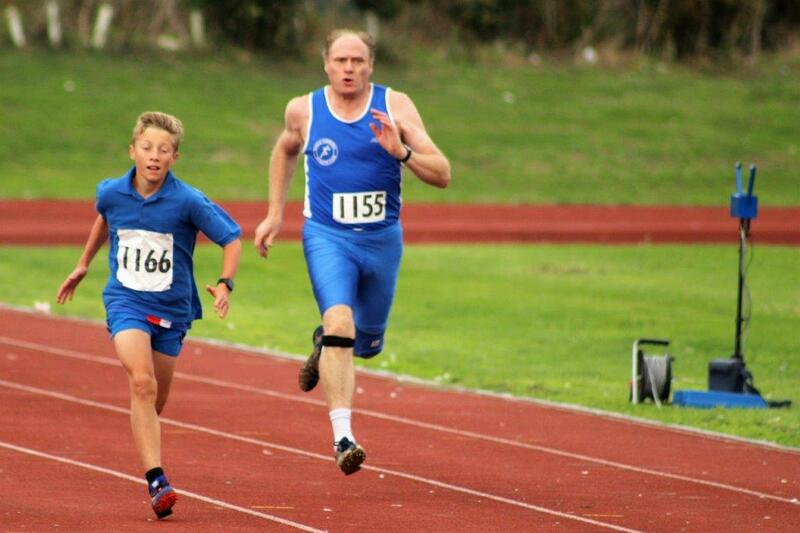 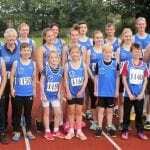 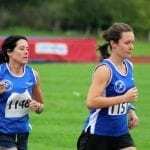 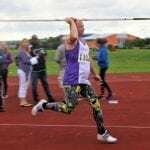 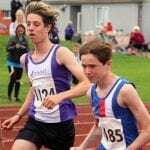 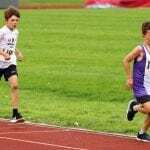 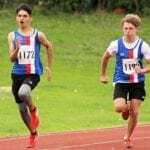 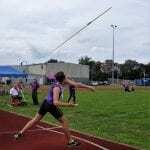 On Saturday 8th September at the Royal Harbour Academy Broadstairs, Thanet Athletics club held their club championships, combined with Swale Combined AC, Folkestone RC and Dover RR. 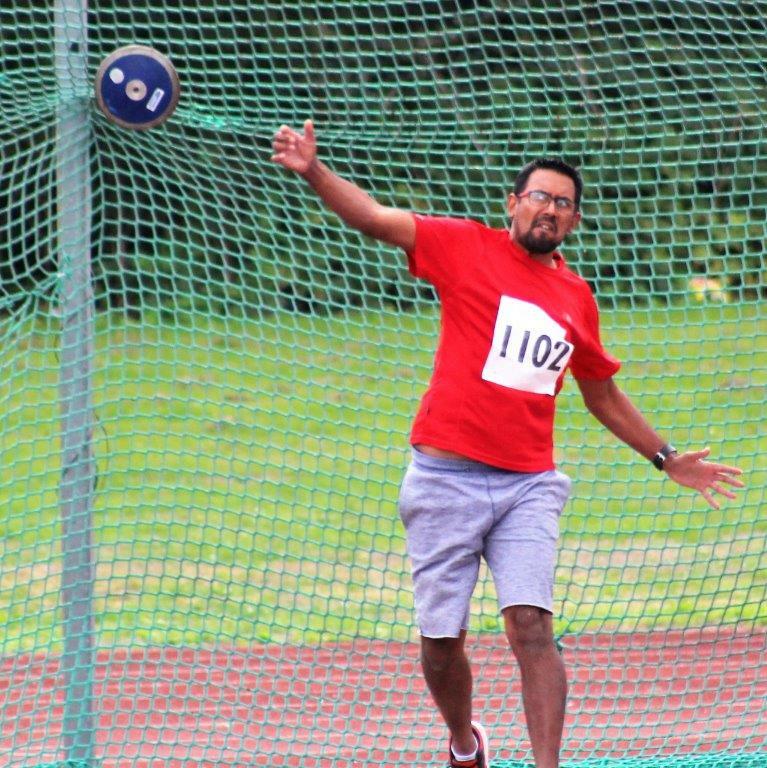 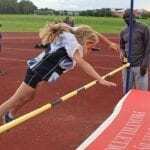 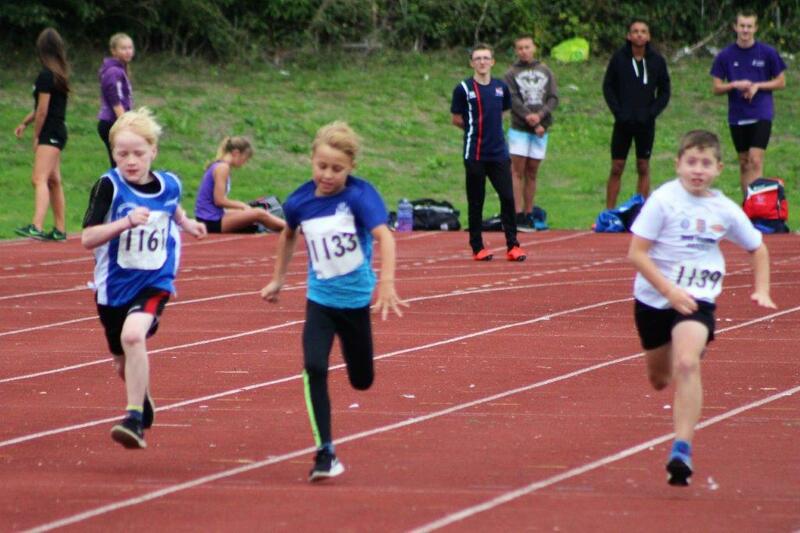 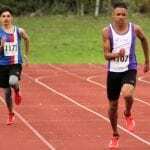 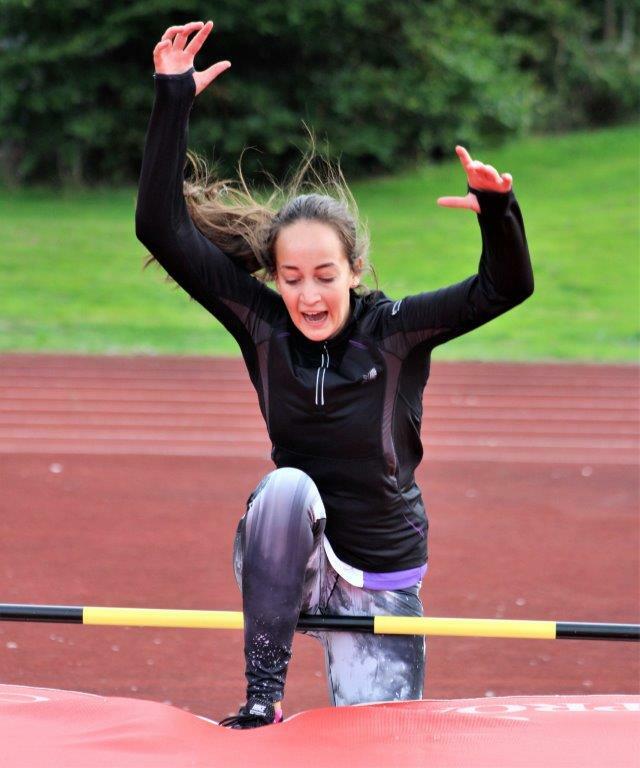 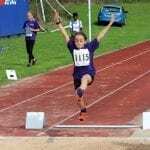 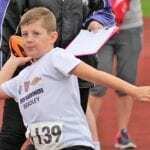 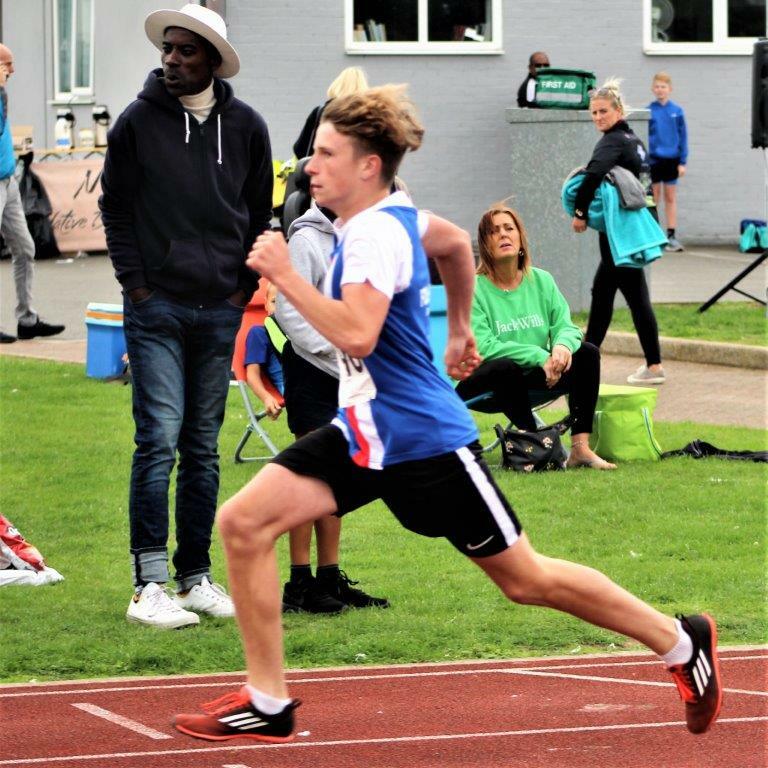 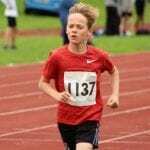 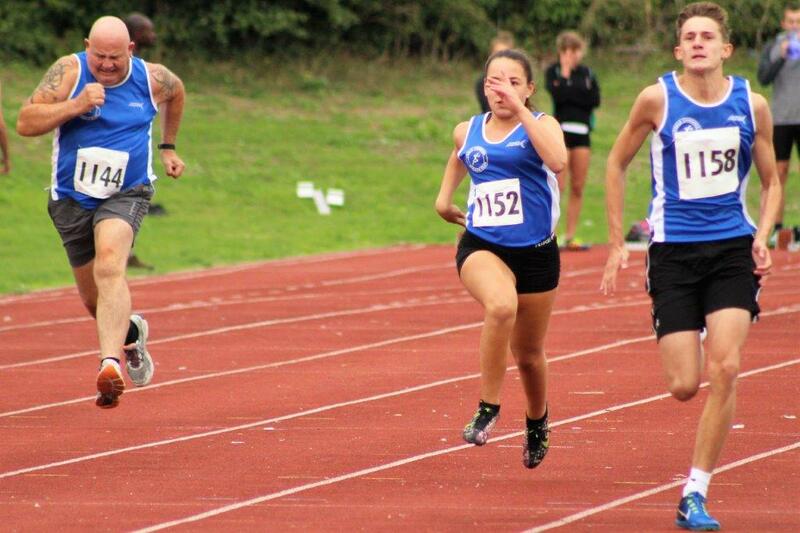 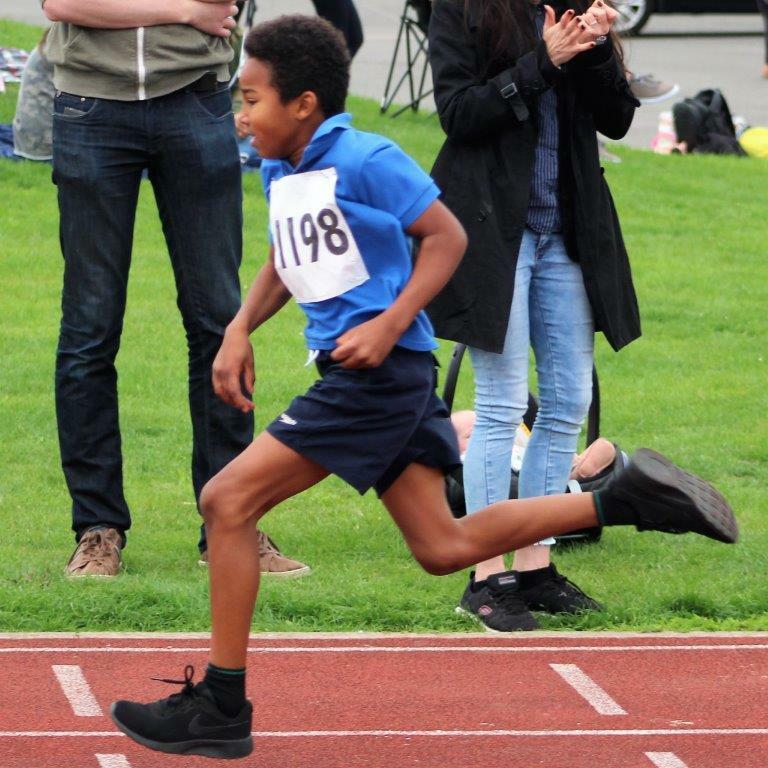 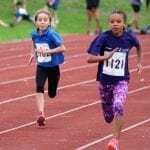 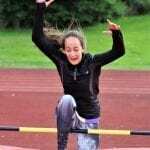 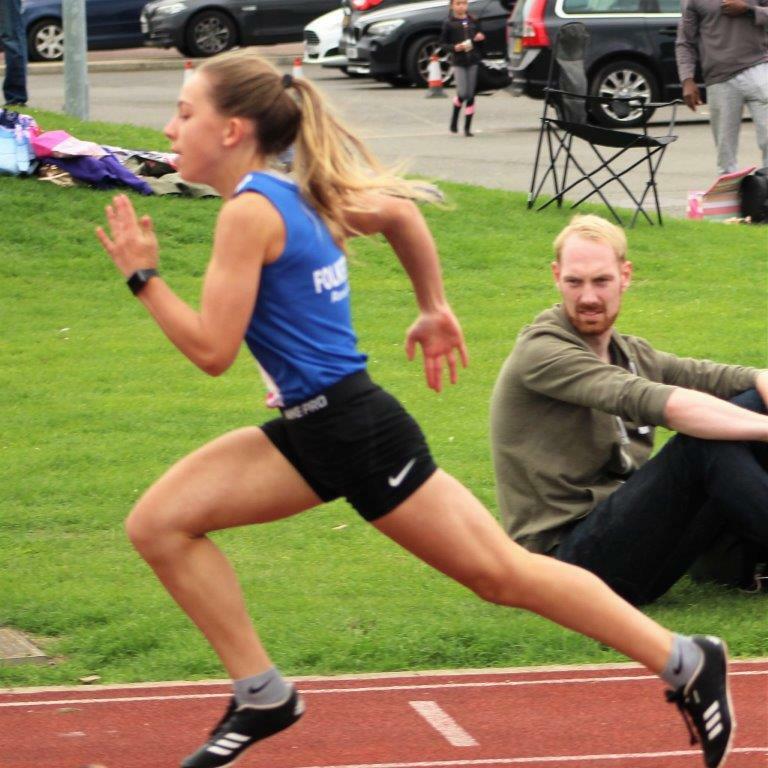 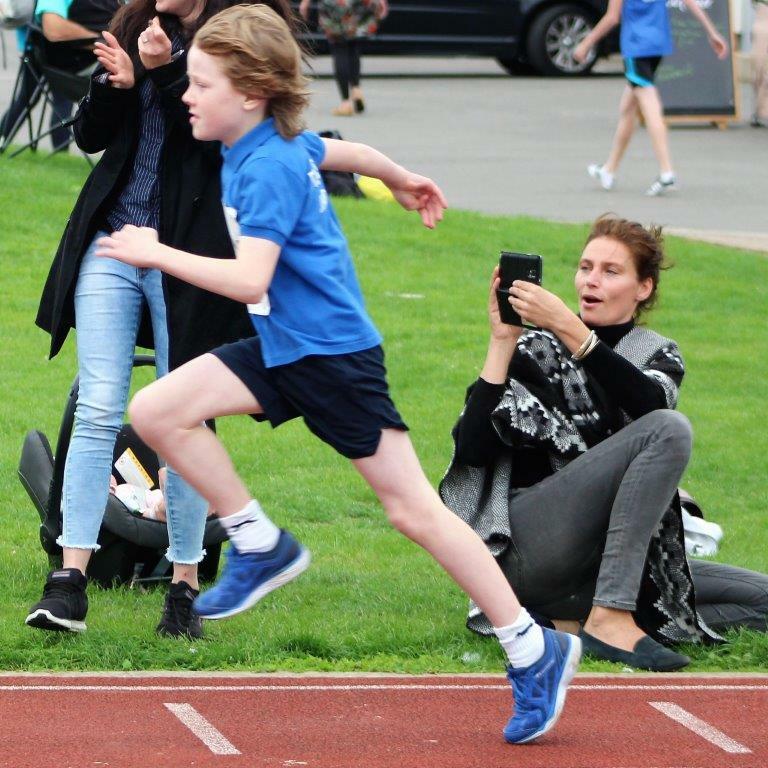 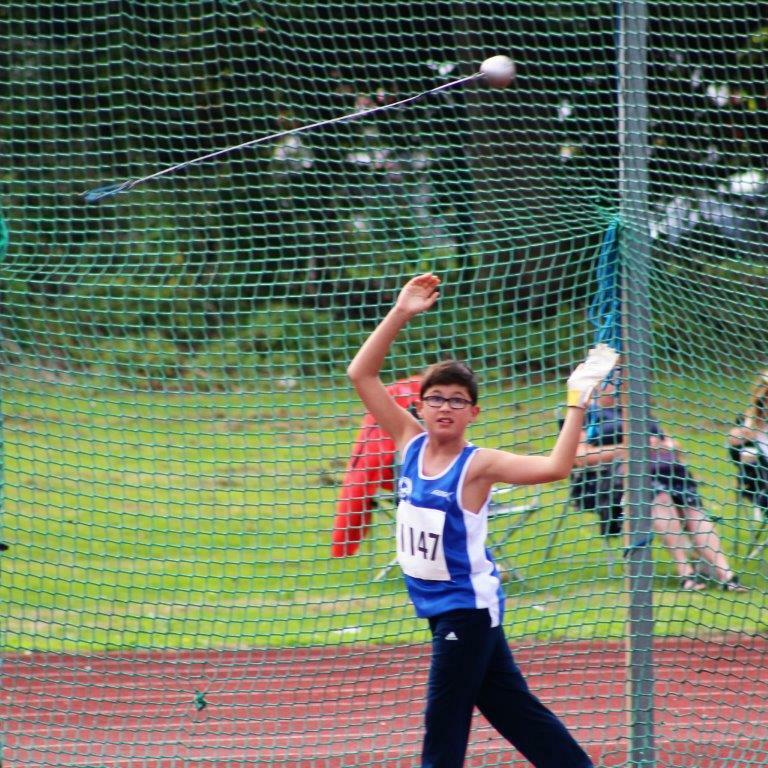 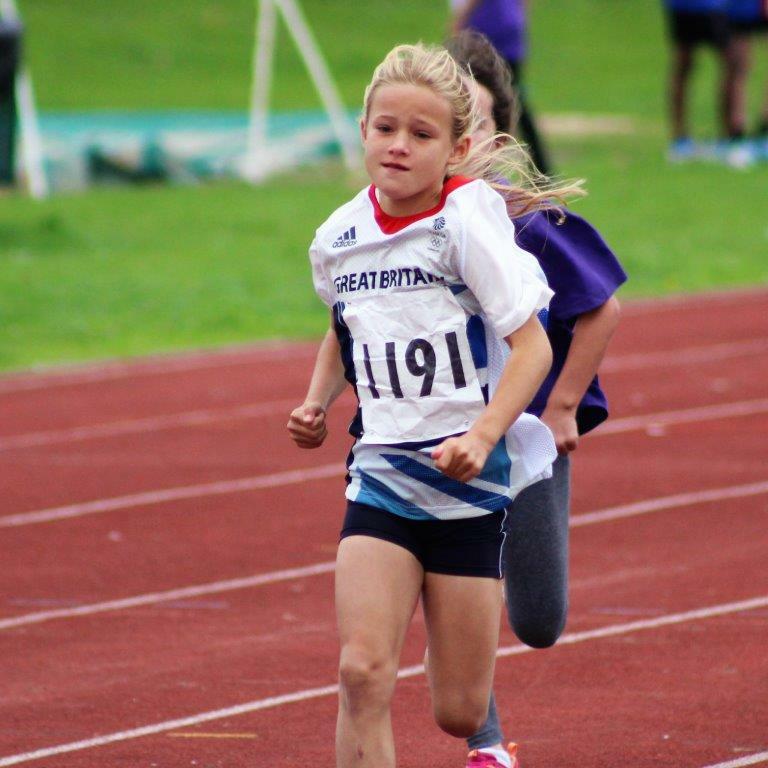 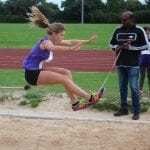 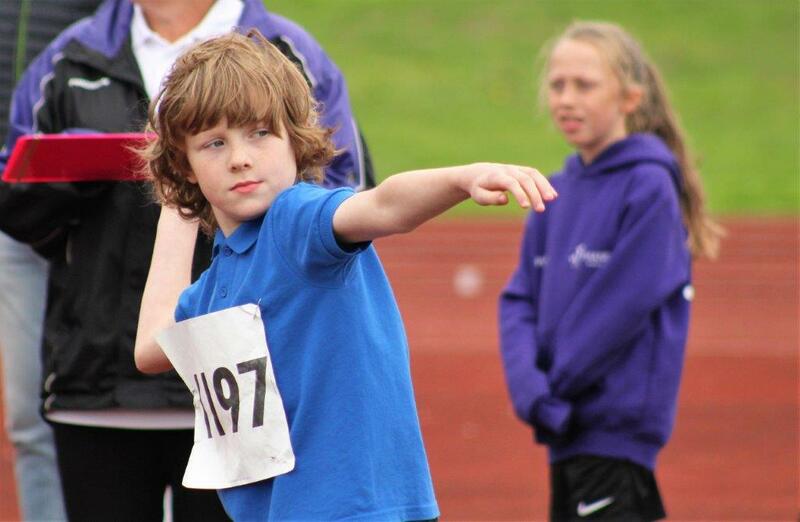 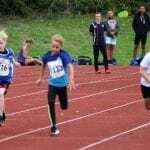 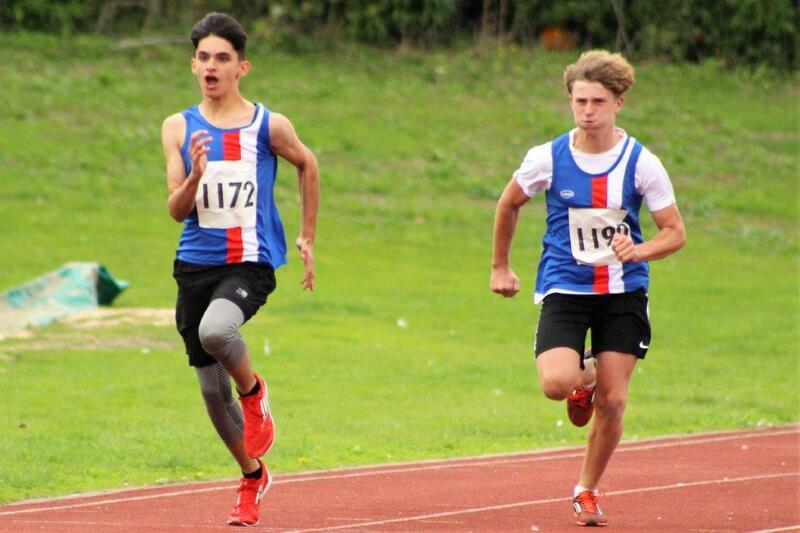 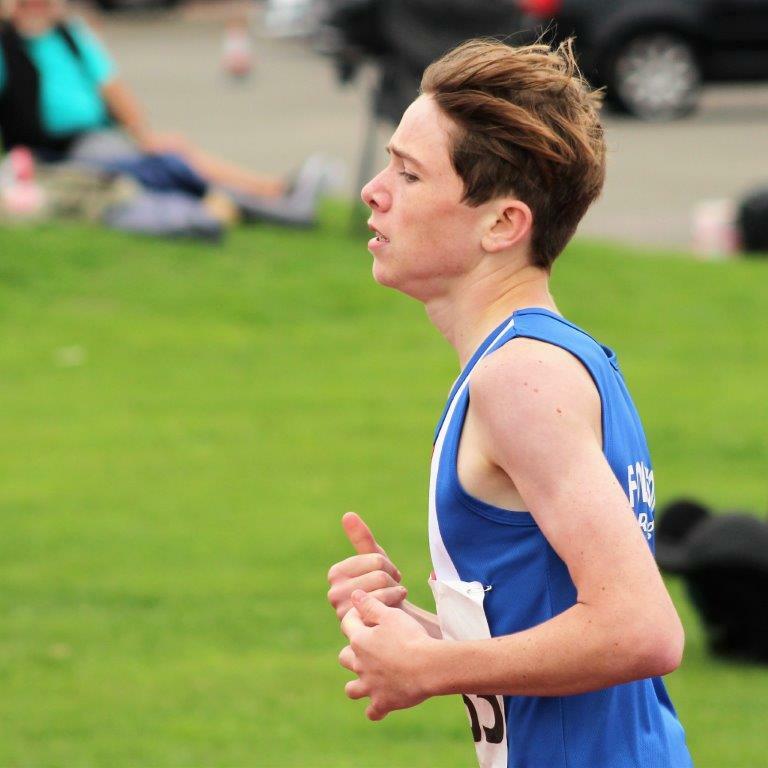 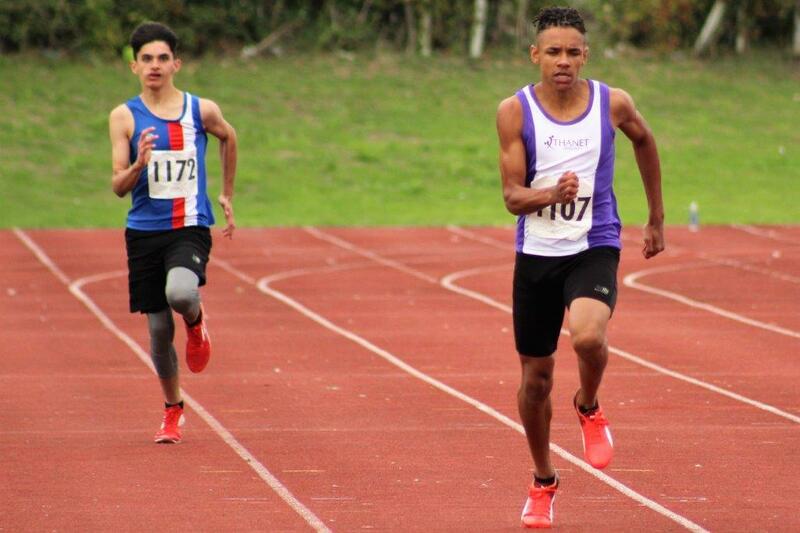 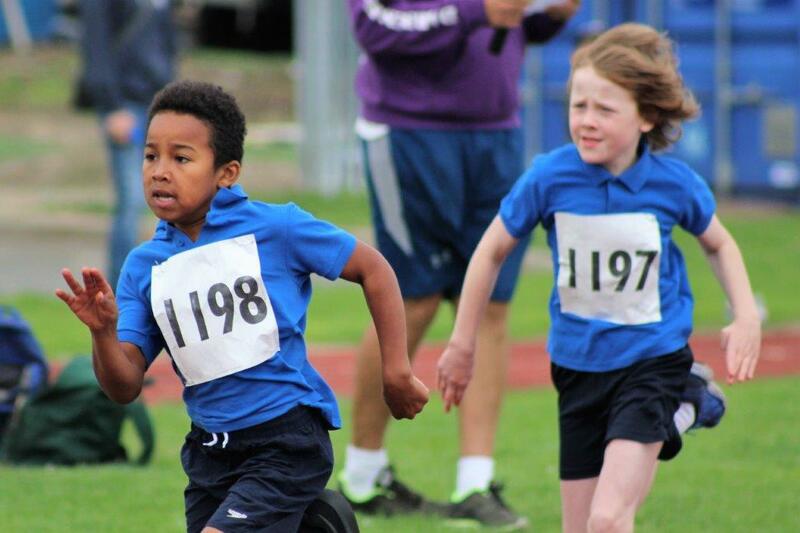 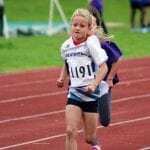 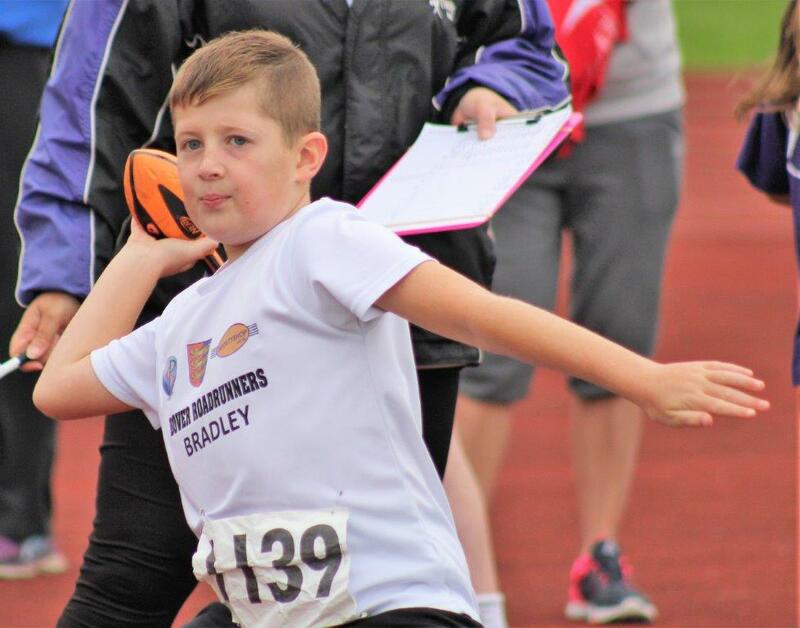 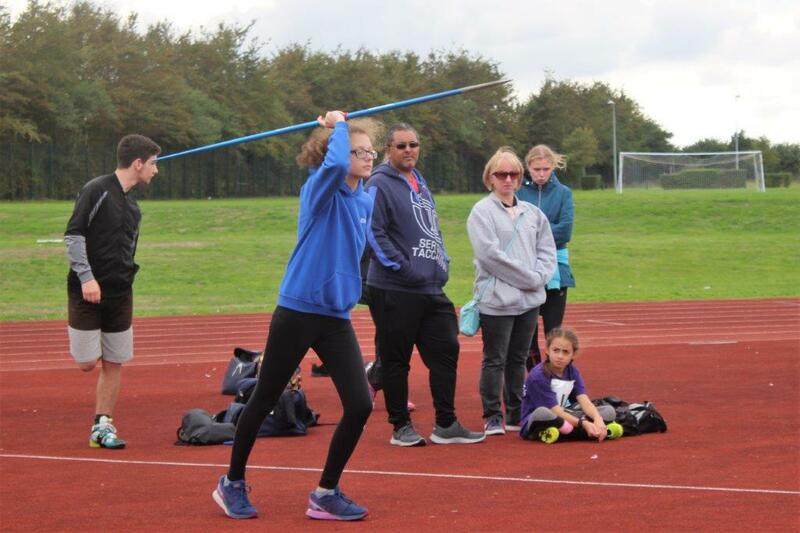 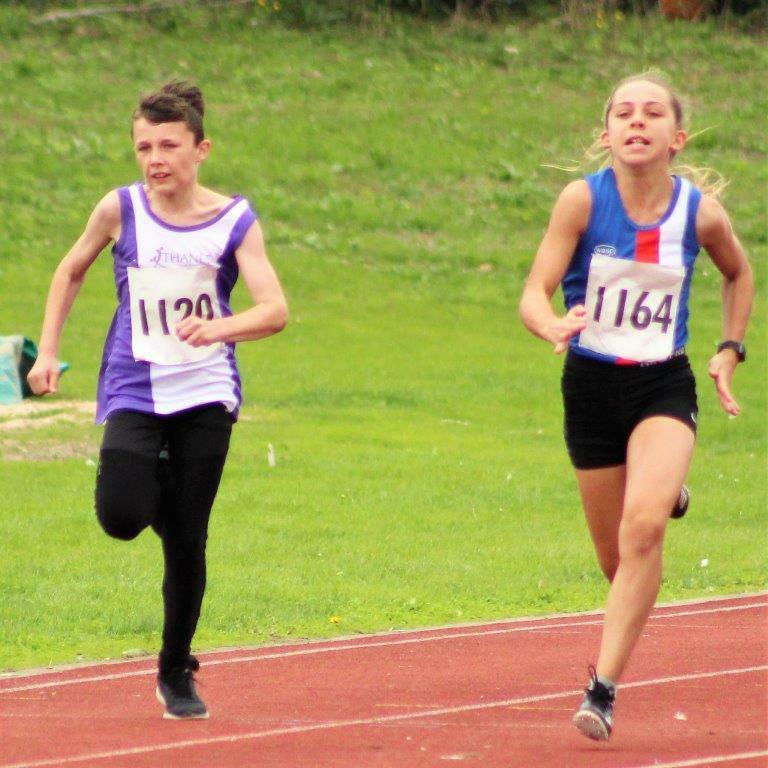 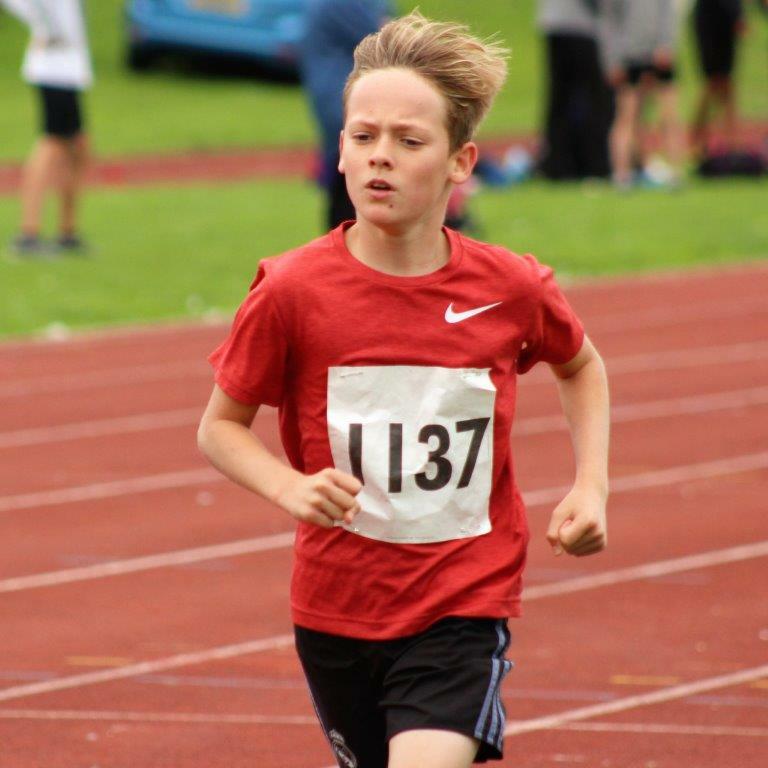 On a very windy day there were exceptional performances from Thanet athletes in all track and field events, with age ranges from U11 girls and boys up to senior men’s and women’s. 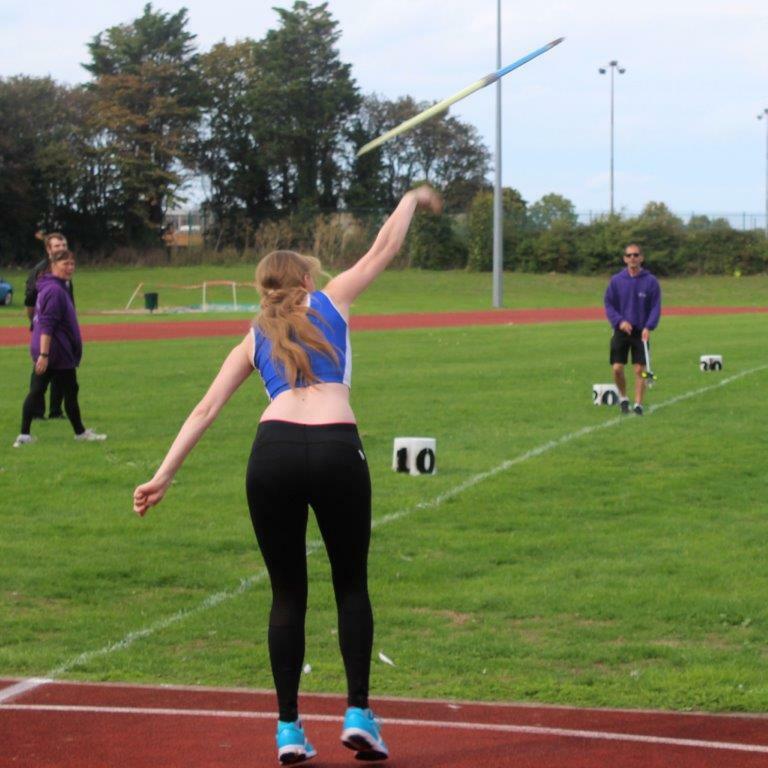 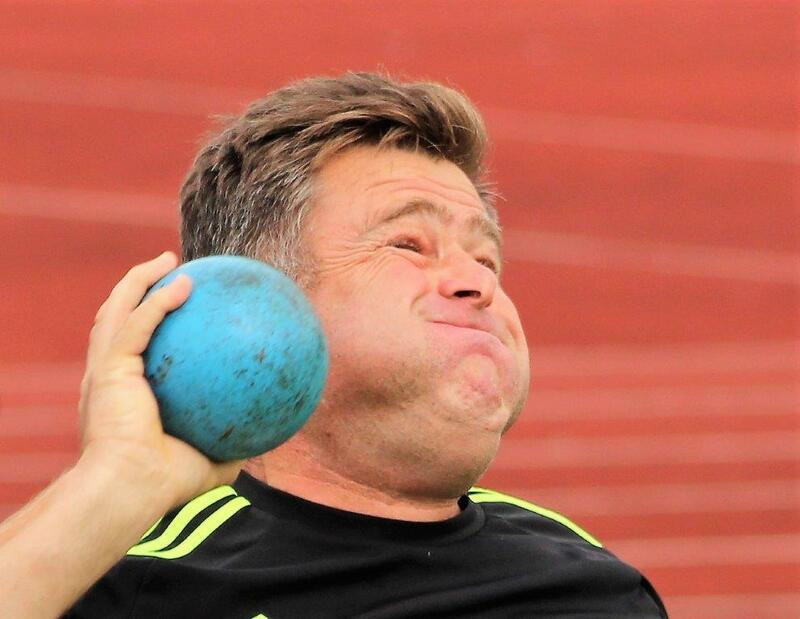 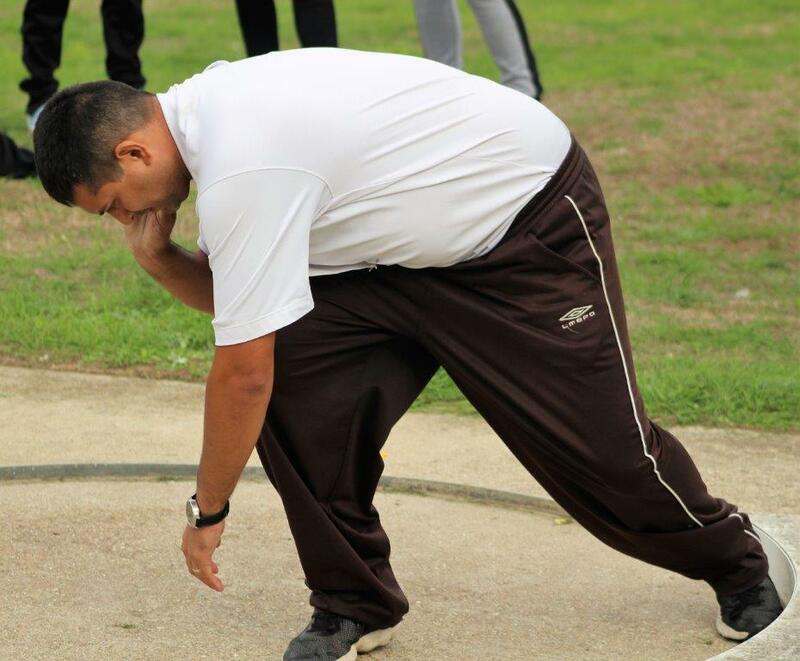 There were even some outstanding performances from many masters’ athletes from all clubs that attended. 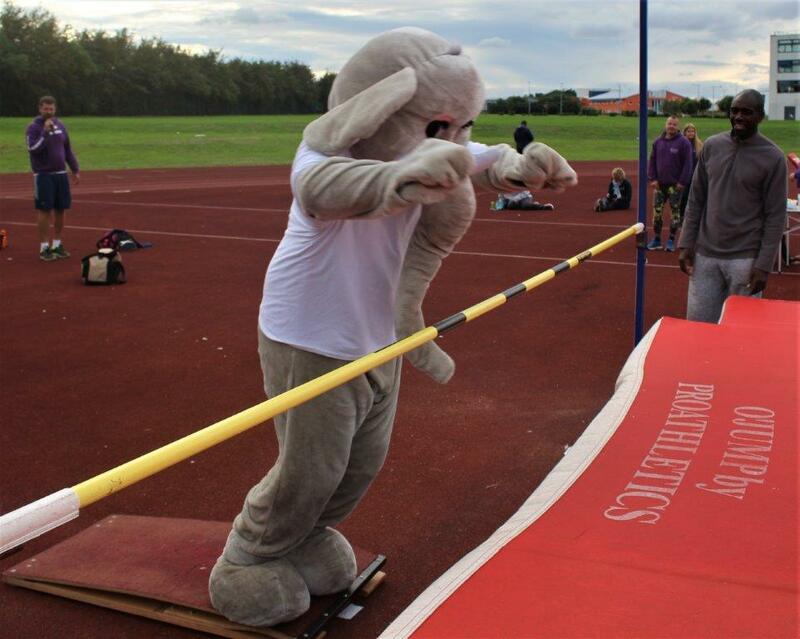 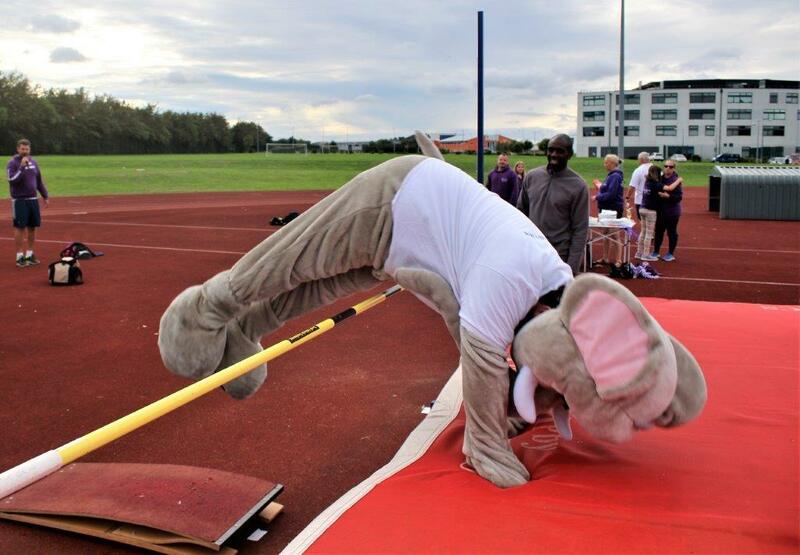 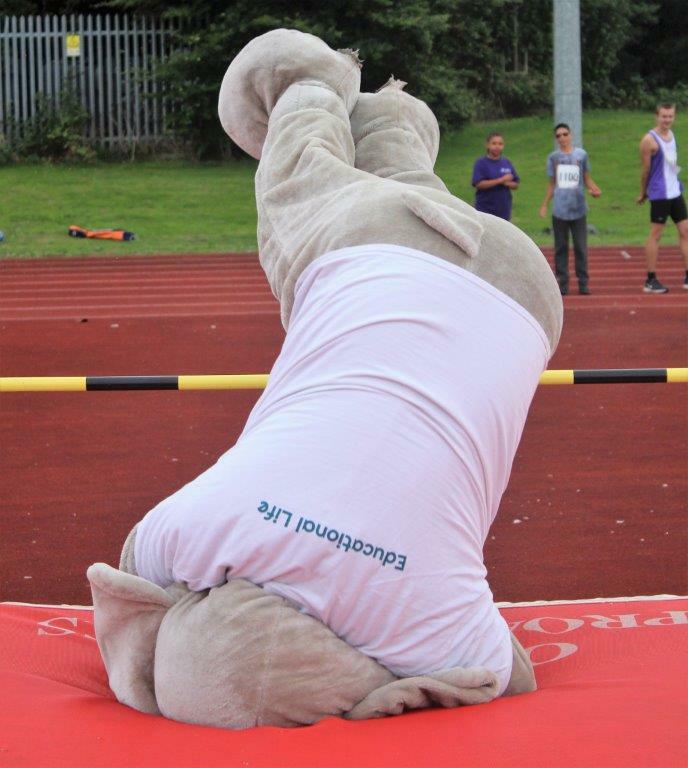 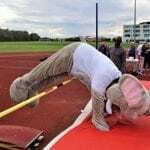 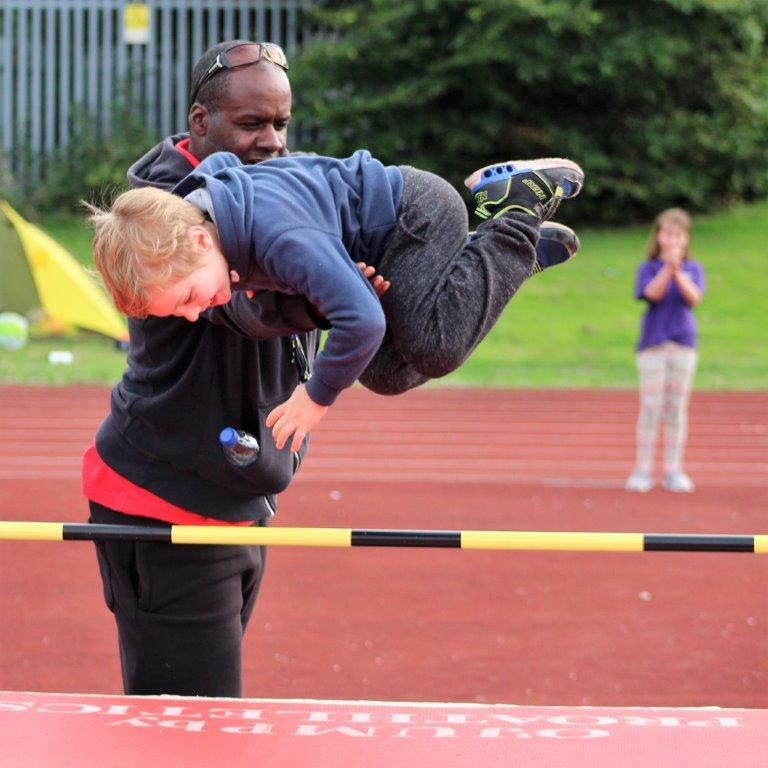 At the end of the meeting a charity springboard high jump challenge managed to raise over £200.00 for the clubs chosen charity and provided much amusement at the end of a very busy and successful day. 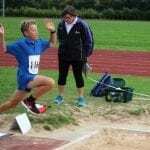 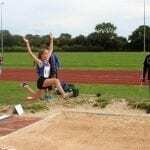 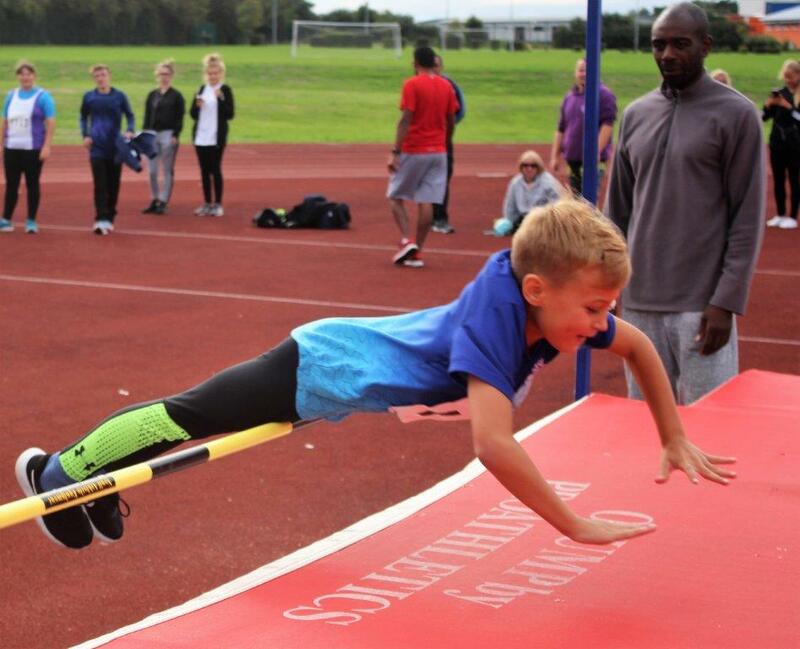 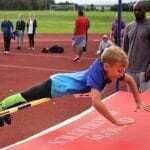 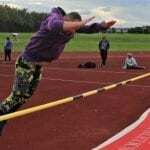 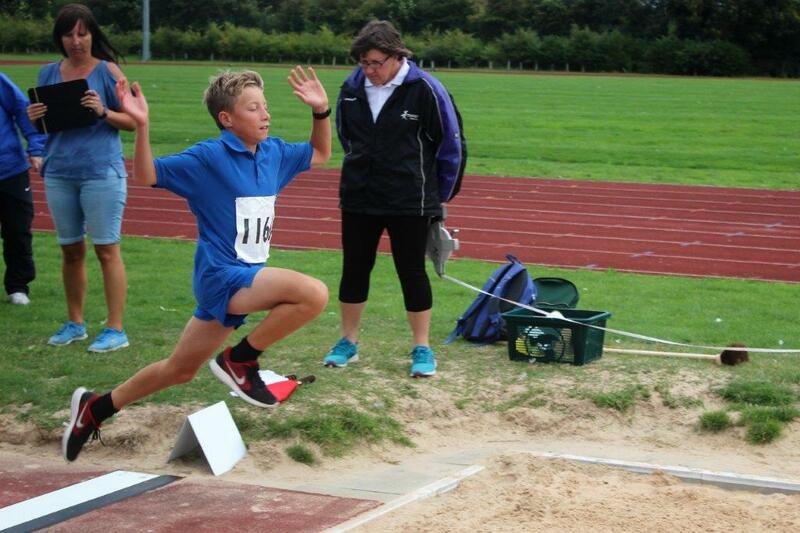 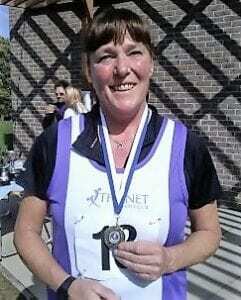 On Sunday 16th September Lyn Sole travelled to the Kent master’s jumps championships held at Medway Park in Gillingham. 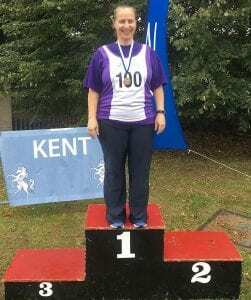 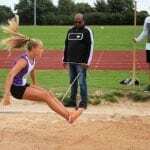 Despite a very strong competition, Lyn managed to jump her way to a gold medal and become Kent masters’ long jump champion. 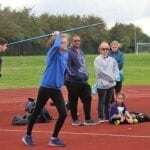 The final meeting of the season was held in Erith spanning the weekend 22-23rd September. 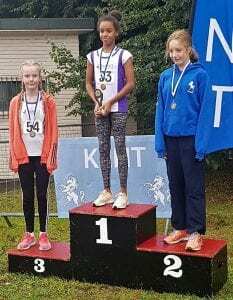 Poppy Rowland-Hill, Lilly Ann Showers, and Eve Seery competed in the u13 girls County Champs in the individual championships on the Saturday. 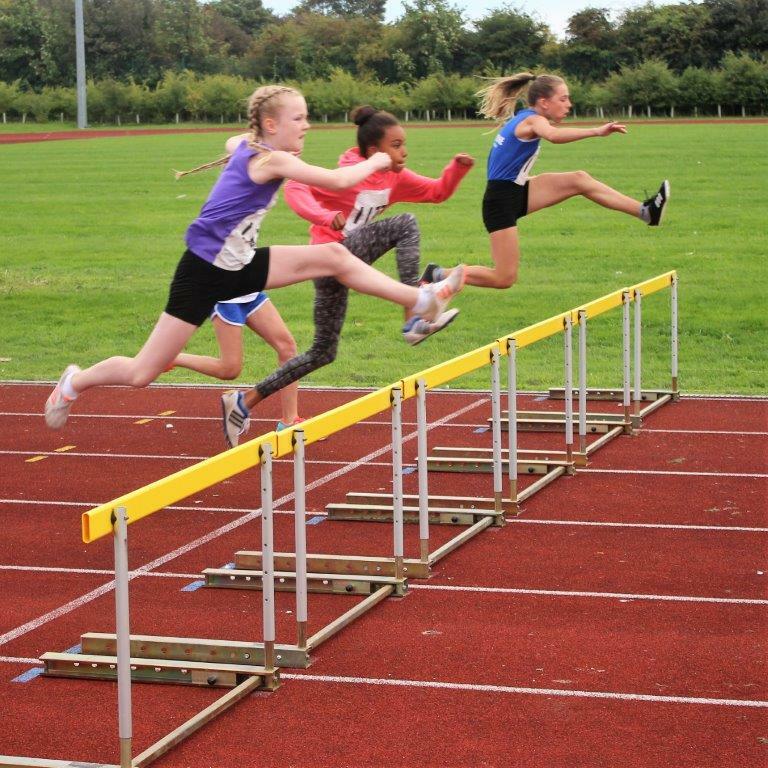 All three cruised through the heats of the 70m hurdles and lined up in the final together. 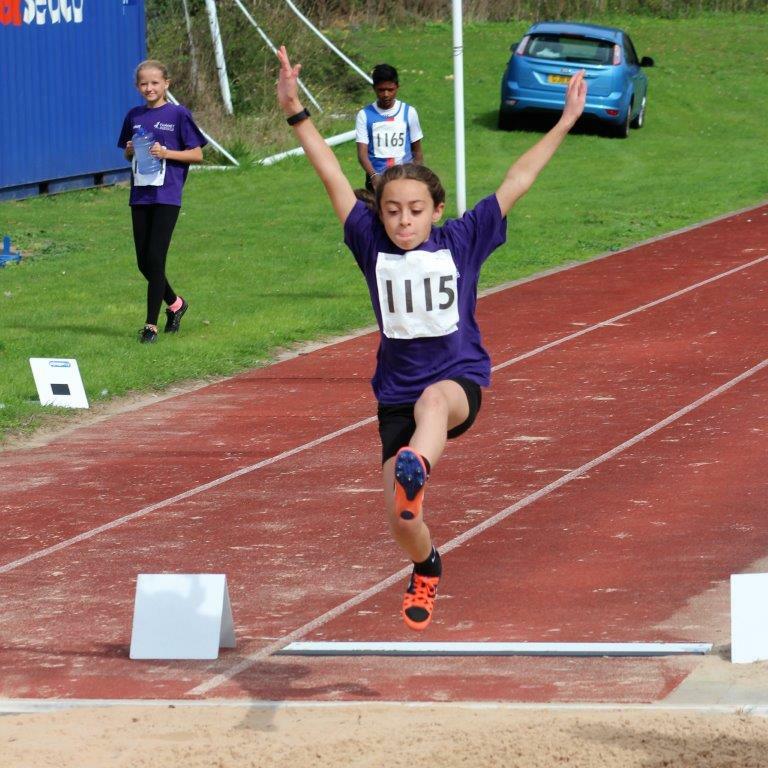 Lily-Ann was the pick of the weekend’s performances when she scooped the Gold medal winning by 0.01s!! 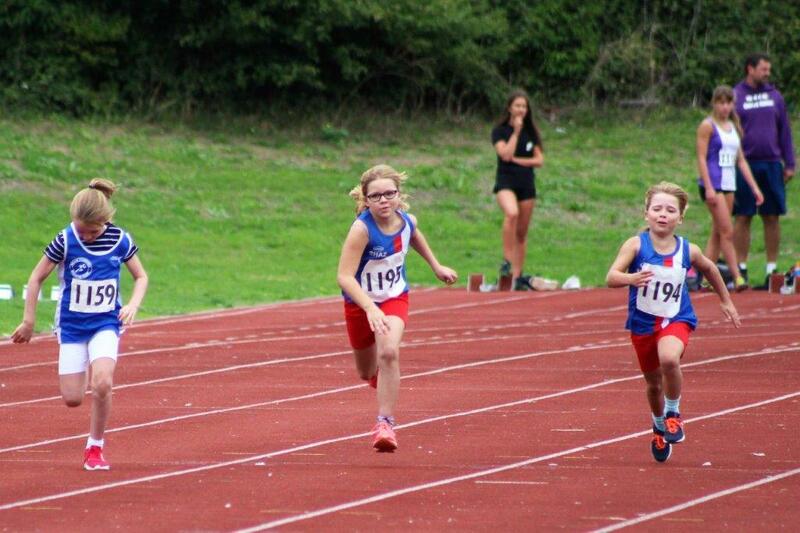 Eve ran a personal best in the final to take an amazing Bronze medal and Poppy finished 7th. 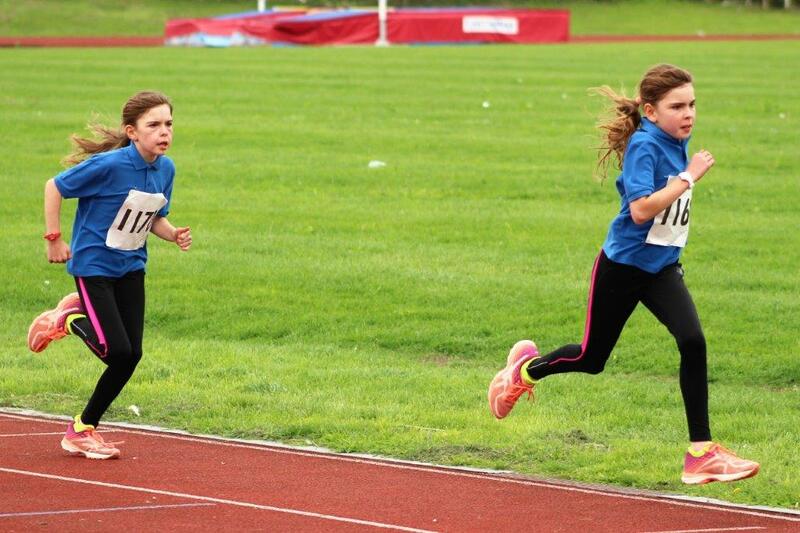 Poppy and Eve competed in the shot putt earlier in the day. 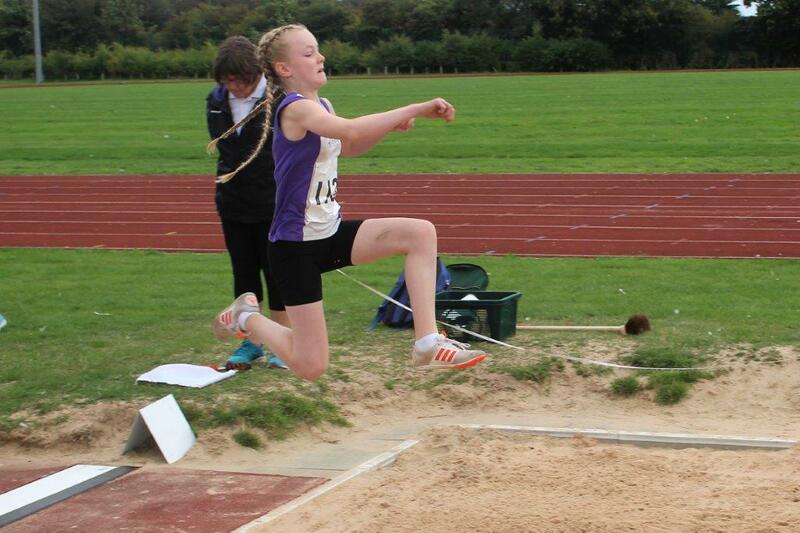 Poppy recorded a personal best to finish just out of the medals in 4th and Eve threw outstandingly well to finish 7th. 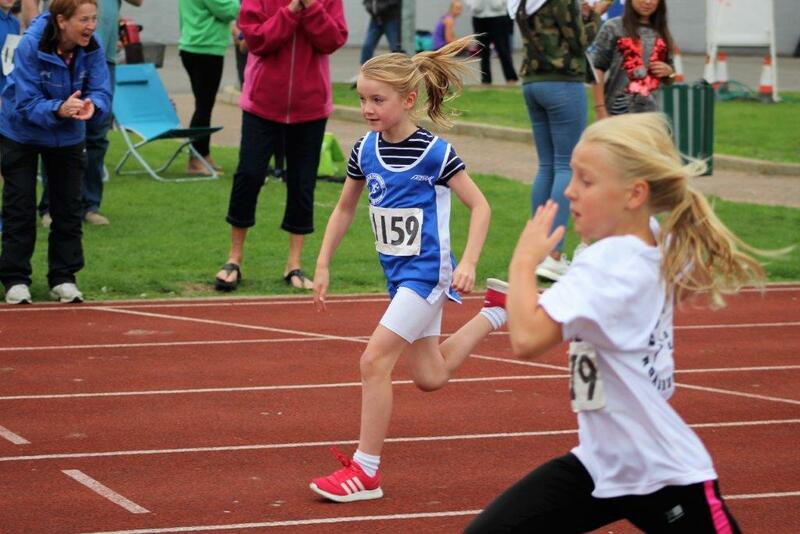 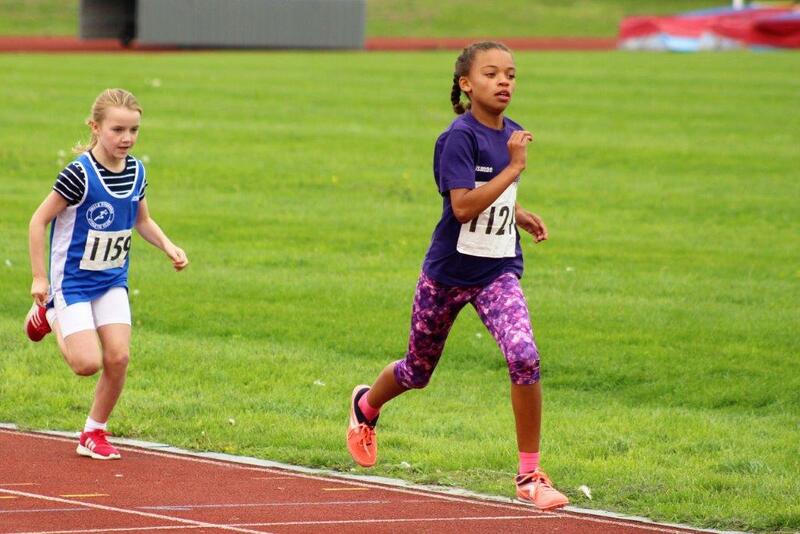 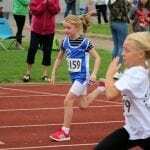 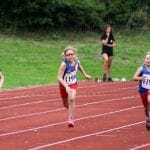 Poppy and Lily-Ann also ran in the 150m heats. 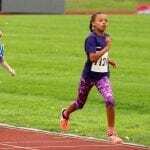 Poppy qualified for the final with a personal best but sadly pulled out after picking up a slight injury from running three races in the space of an hour and Lily-Ann just missed out with a time of 22.31s. 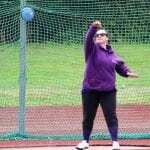 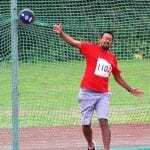 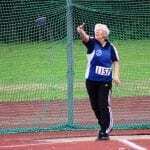 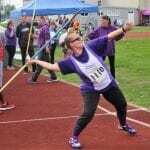 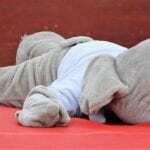 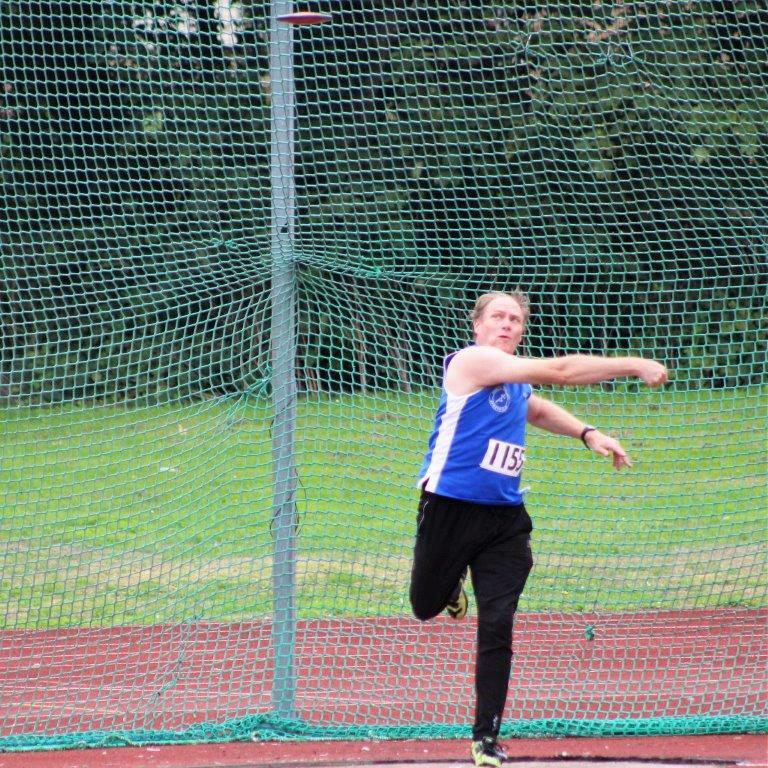 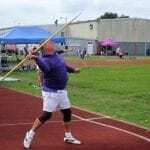 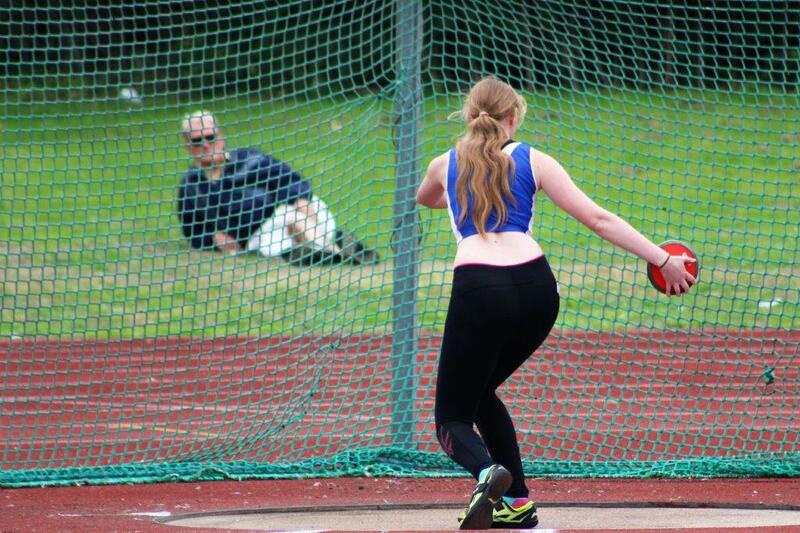 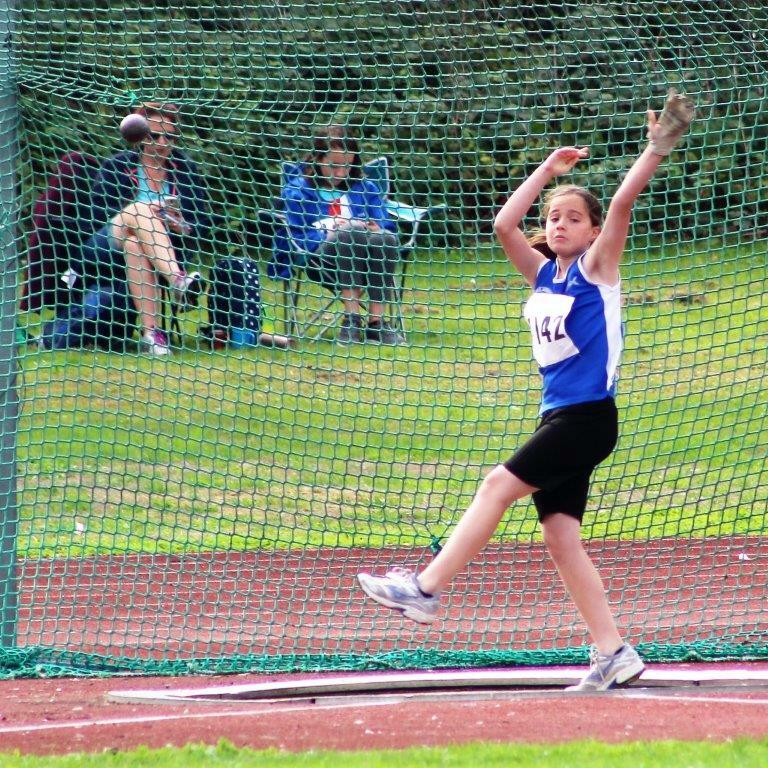 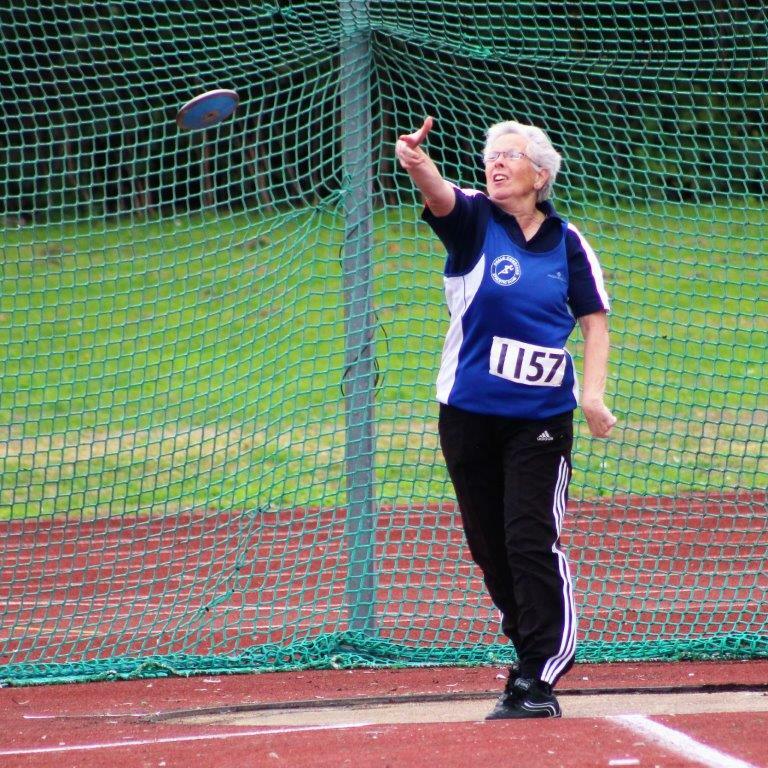 Also on Saturday Bianca Shuster competed in the Javelin, shot putt discus and hammer throws. 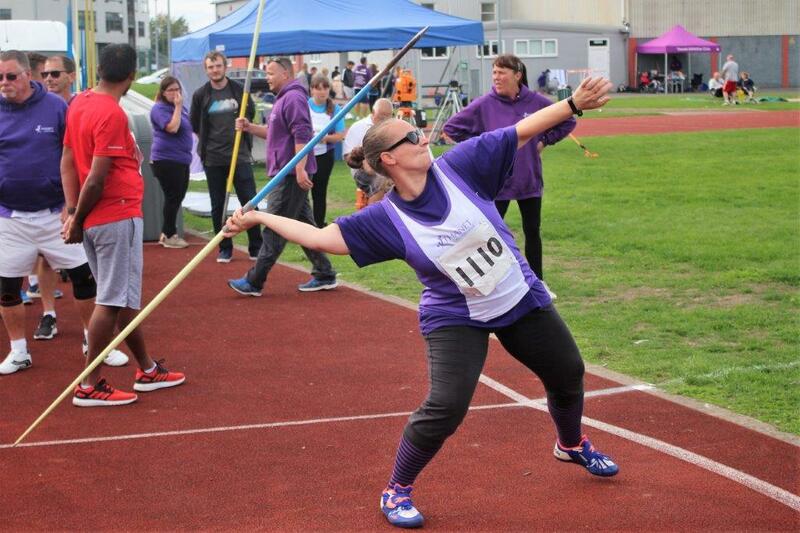 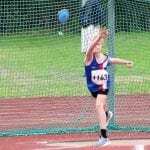 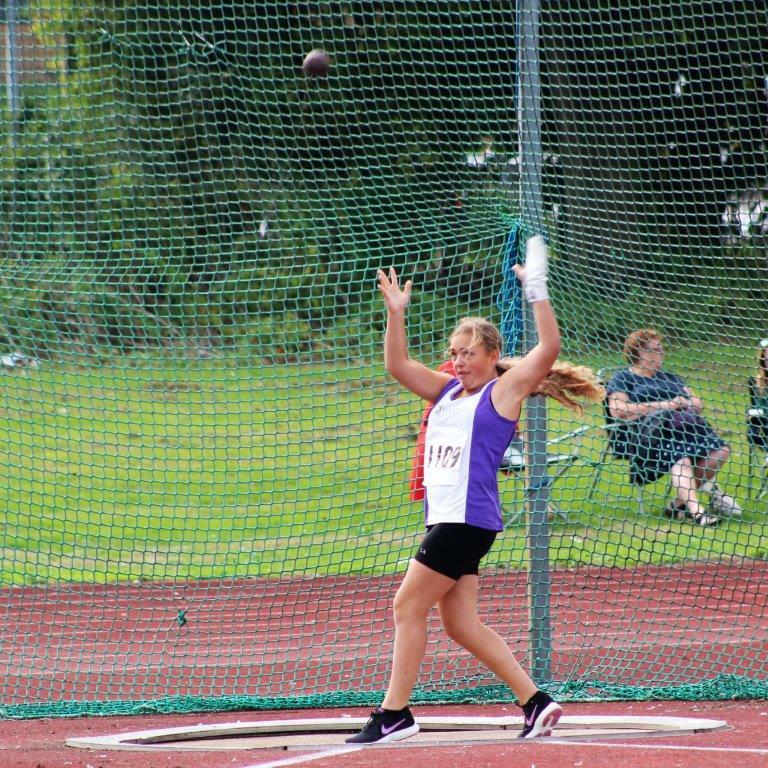 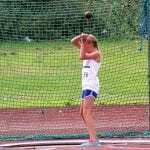 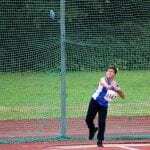 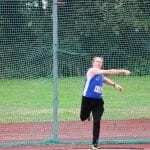 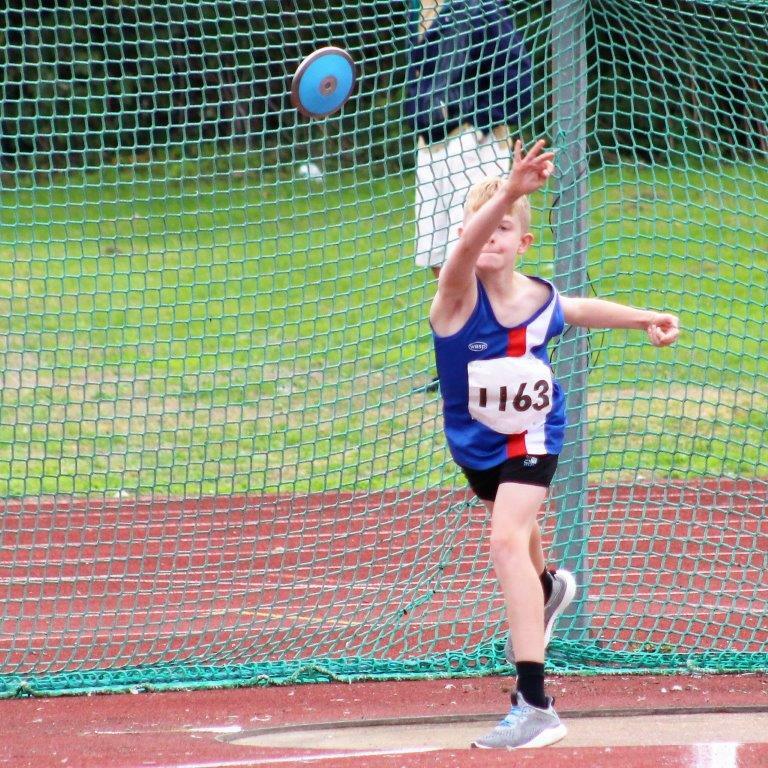 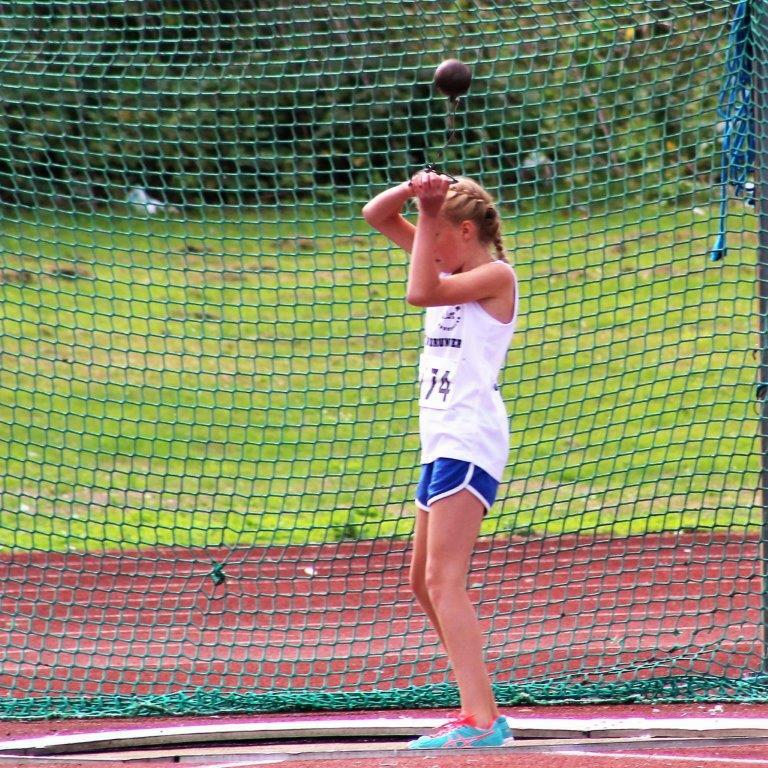 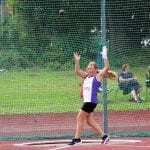 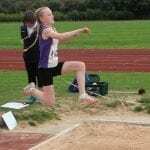 Bianca managed gold in the hammer and javelin, becoming Kent masters champion for both, and managed second place in the discus and shot putt. 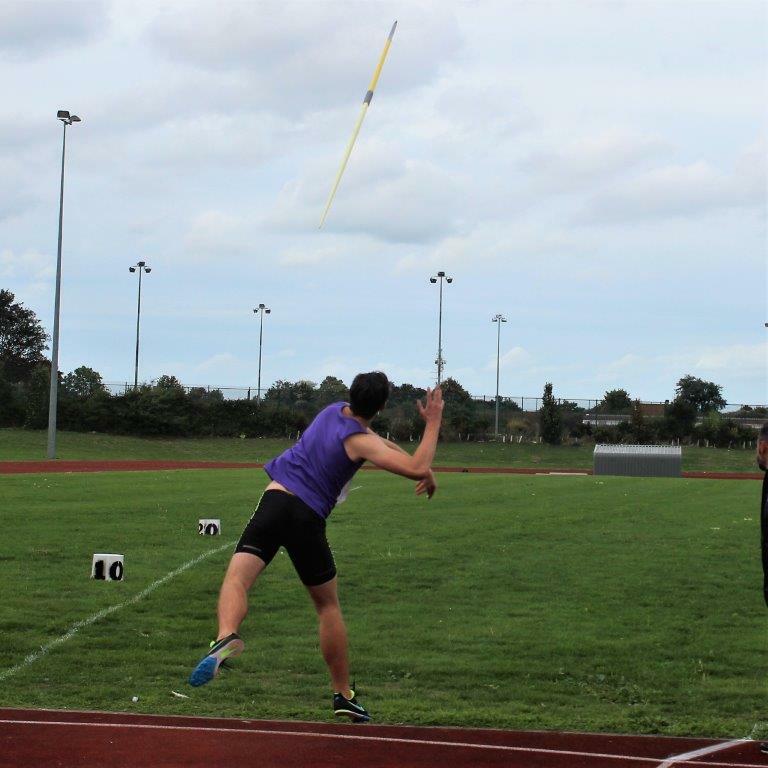 Konrad Farrell was set to compete in an amazing 10 events over the two days in the u20 men’s decathlon. 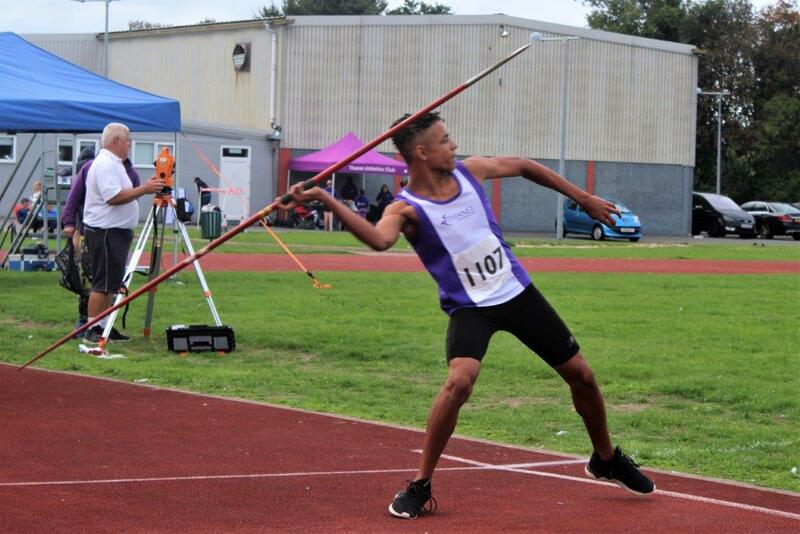 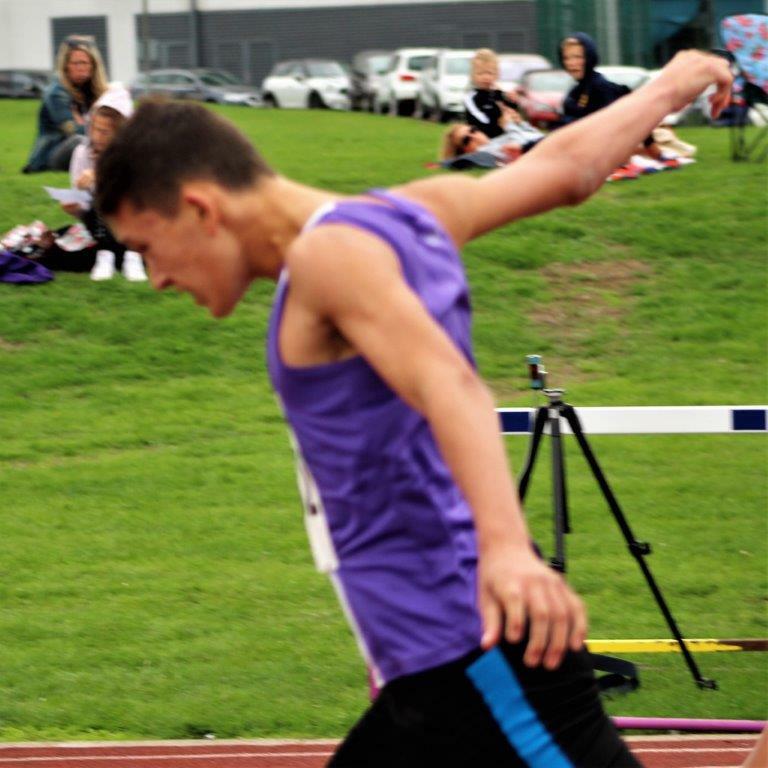 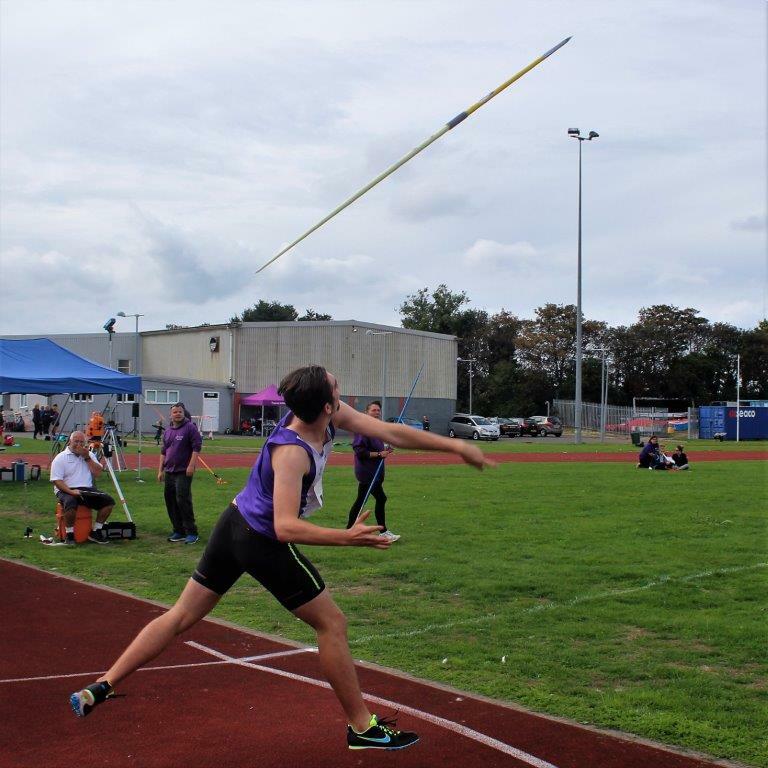 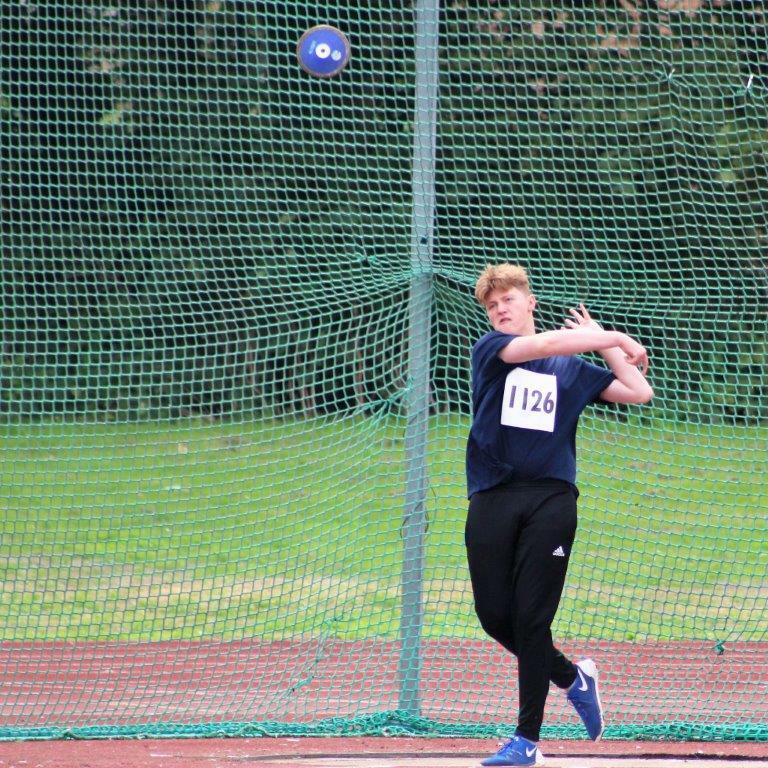 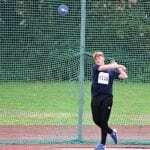 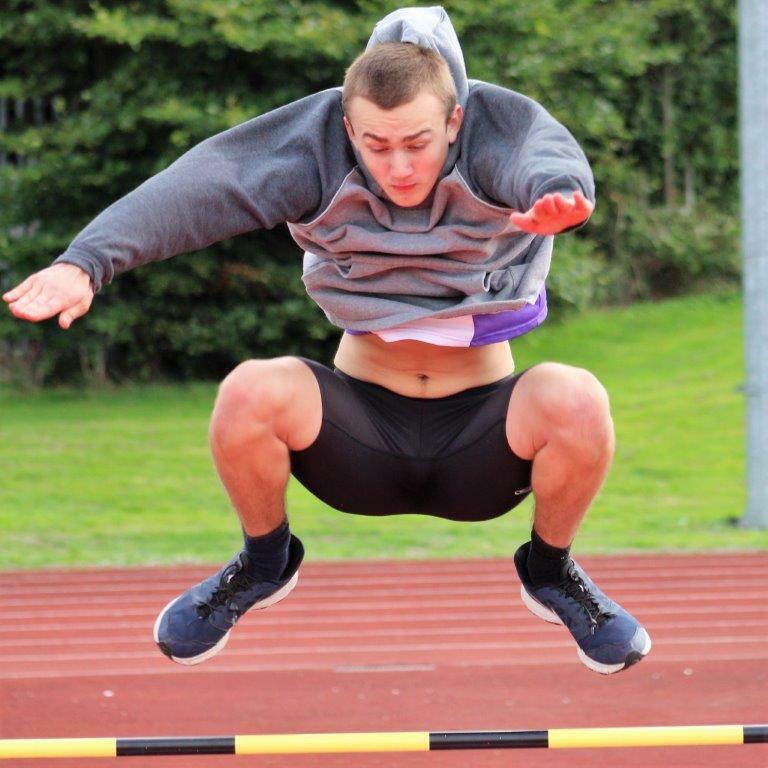 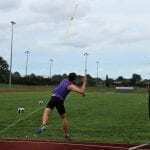 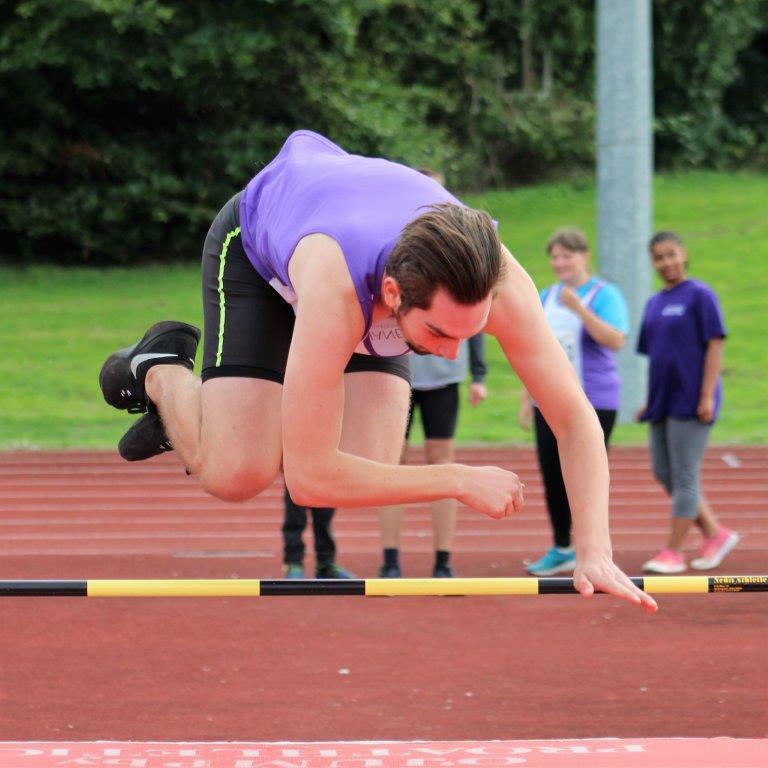 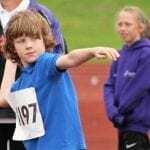 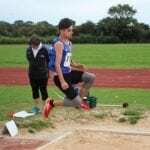 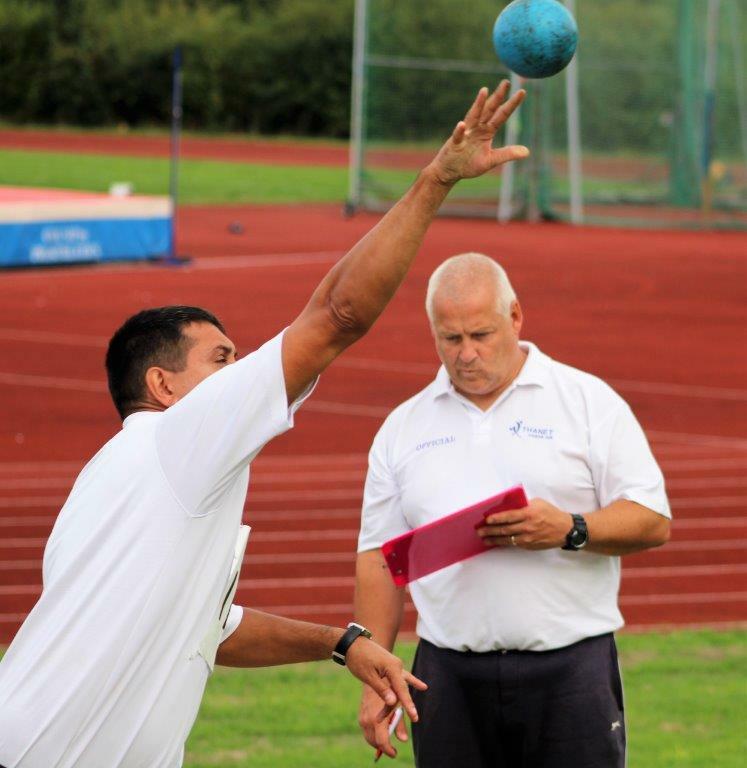 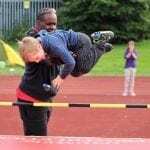 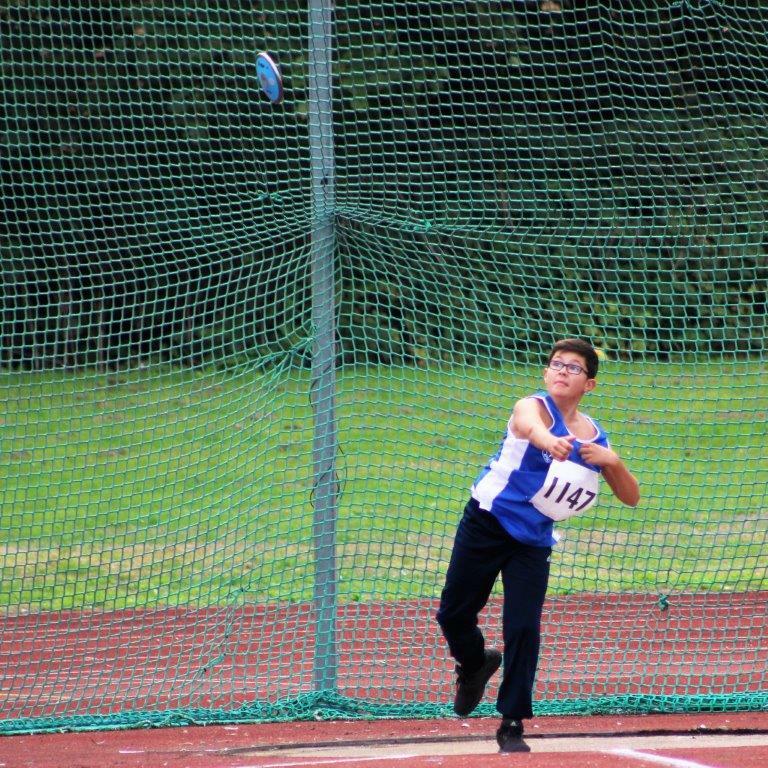 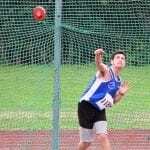 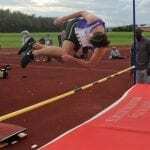 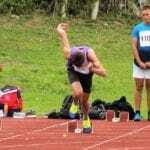 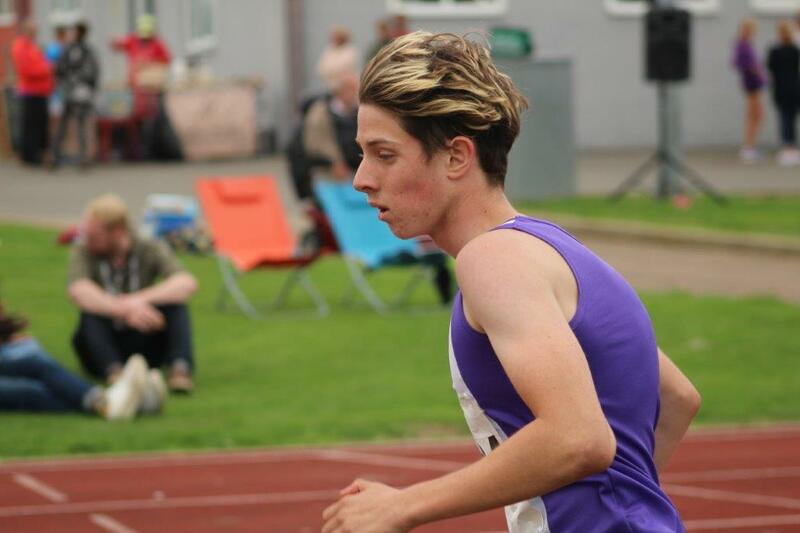 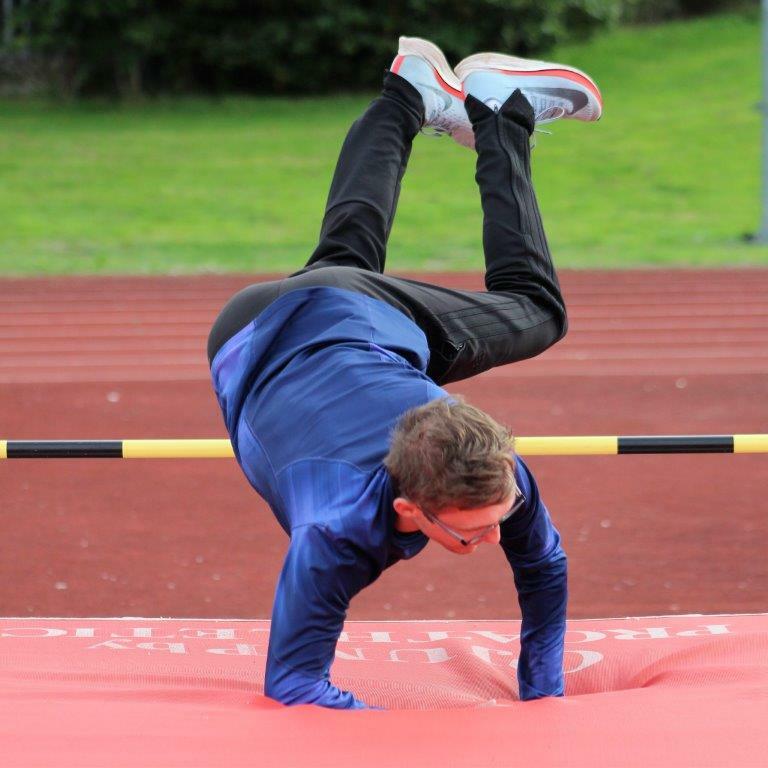 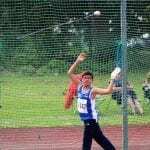 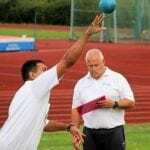 He secured the title of Kent decathlon champion on the Saturday with an outstanding display of athleticism over 5 events. 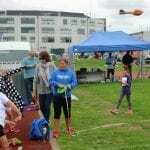 Sadly, due the bad weather on the Sunday, all of the track and field events had to be cancelled due to a water-logged track and field. 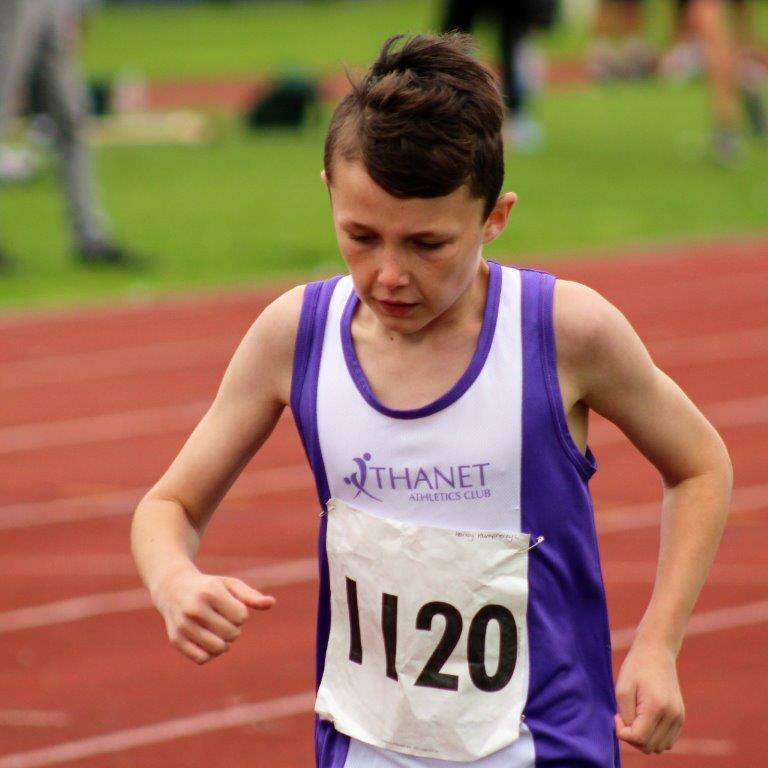 Thanet Athletics club have had an outstanding season, and credit goes to all athletes, coaches and supporters of the club. 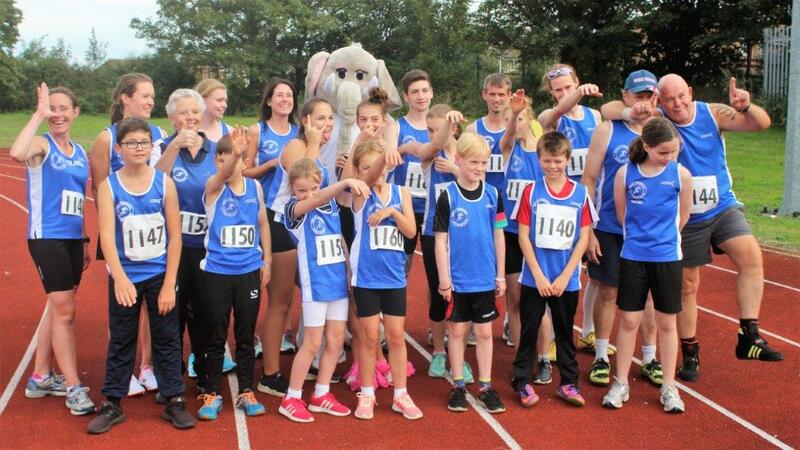 Congratulations to all of the Athletes, Coaches and Officials from Thanet AC on a great season. 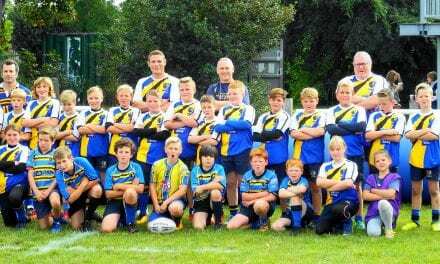 It has been really good to link up with you over the past year and we are looking forward to working closely with you all next season. 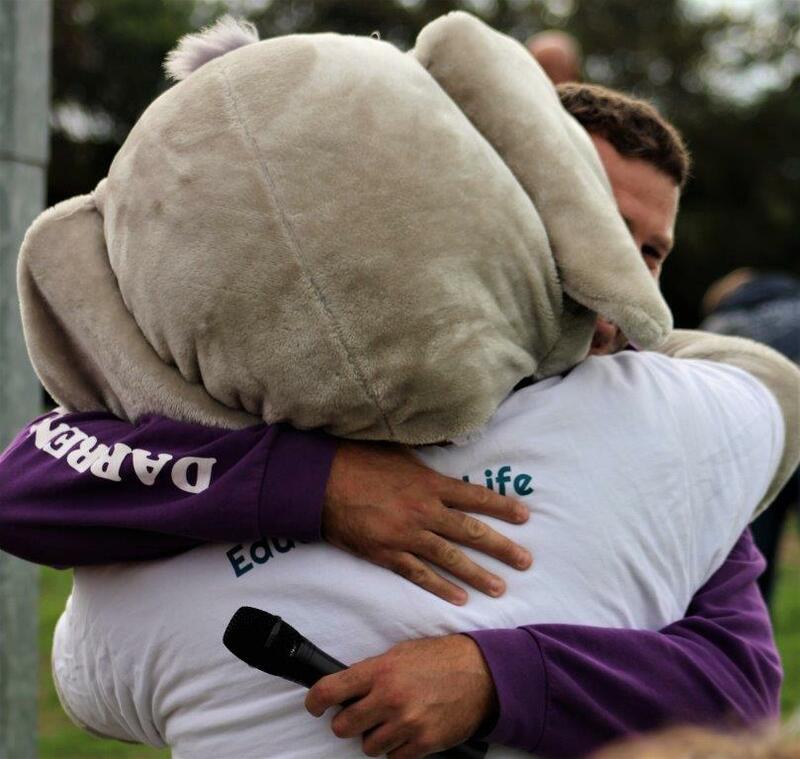 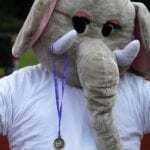 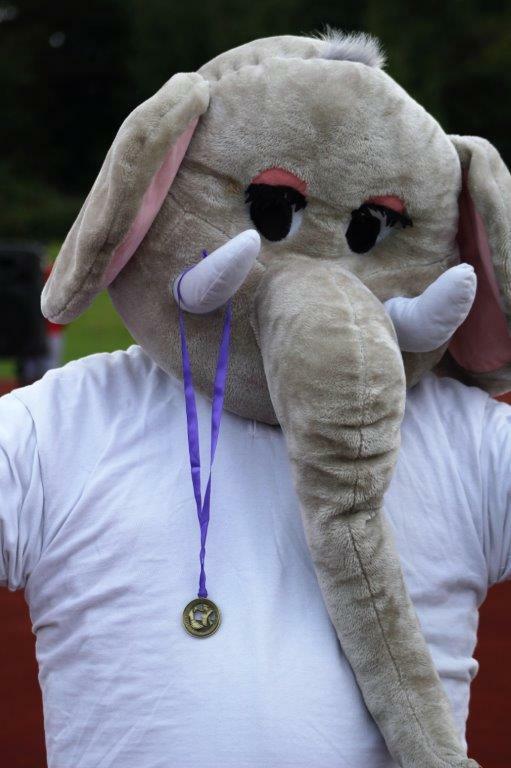 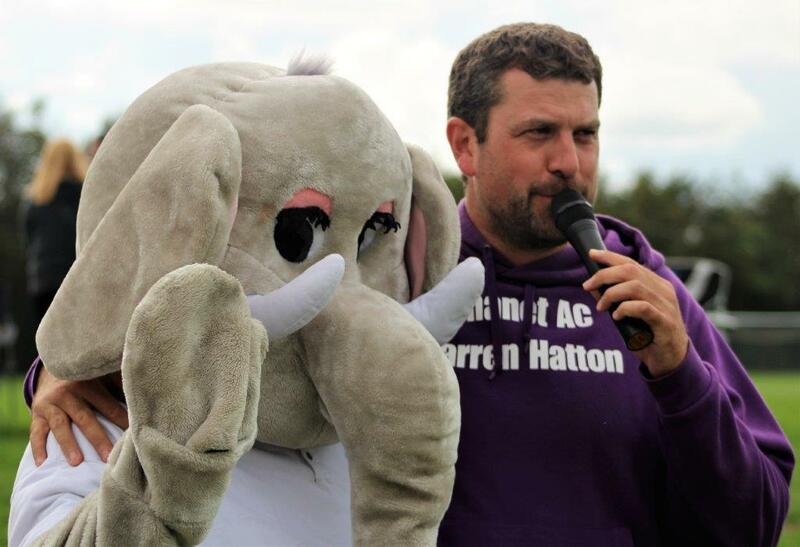 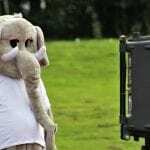 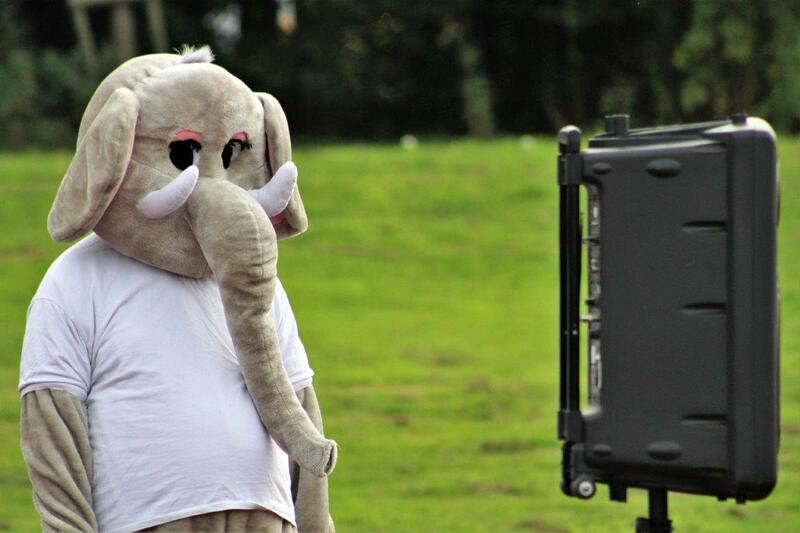 Please enjoy our gallery from the recent Club Championships ….. you may even catch a glimpse of our very own ‘Eddie’ who insisted upon joining in the fun. 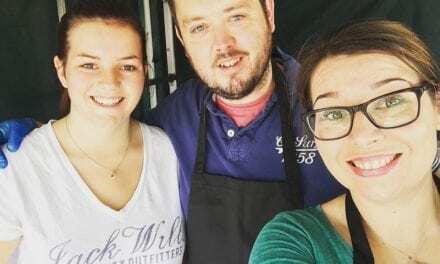 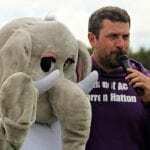 Thanet Wanderers Community Open Day 2017.